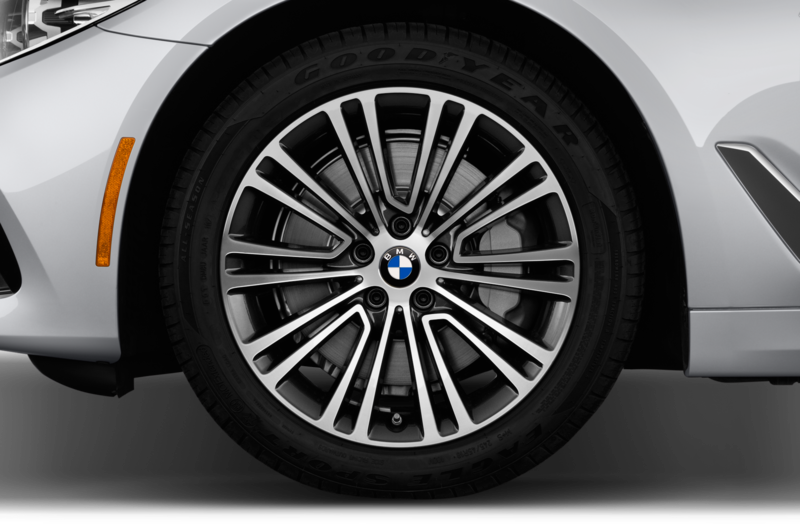 Today? 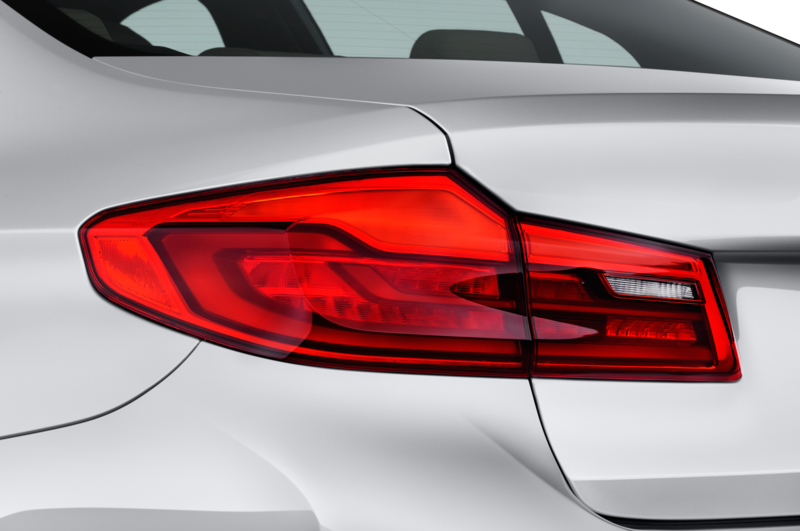 Not so much. 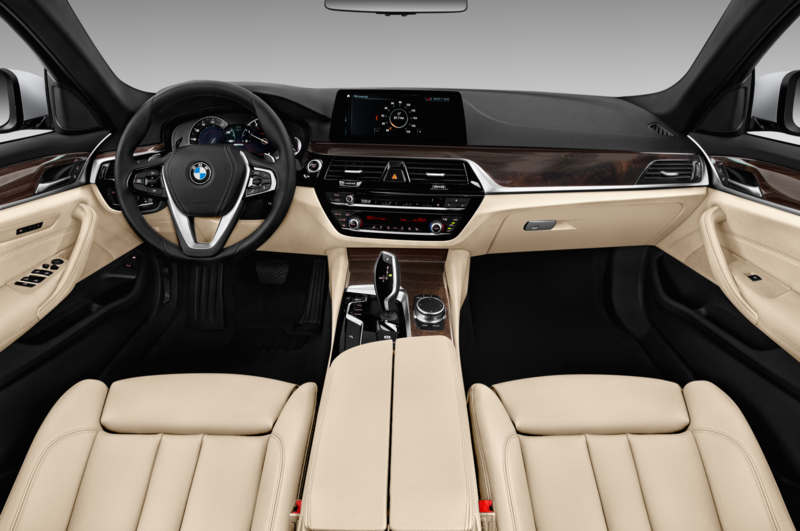 I can see maybe a dozen feet past the glass before a thick white fog obscures the mountains. 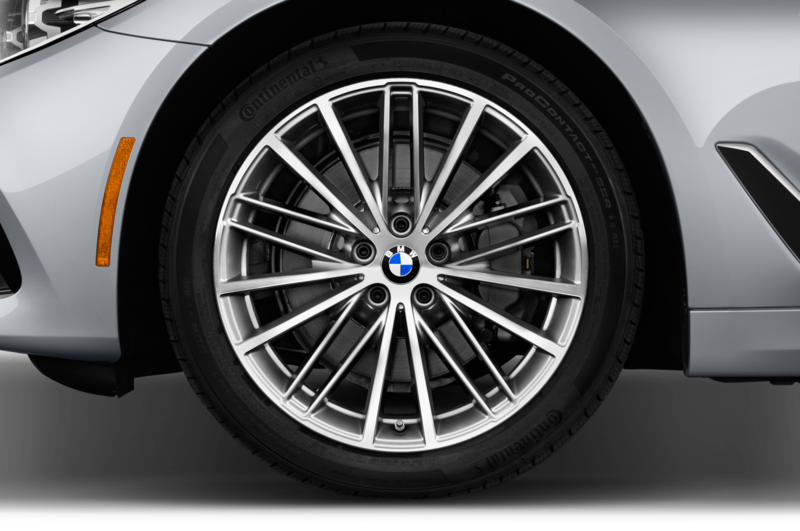 Small, wet flakes of snow blow around in the wind like great schools of fish darting out of the way of a predator. 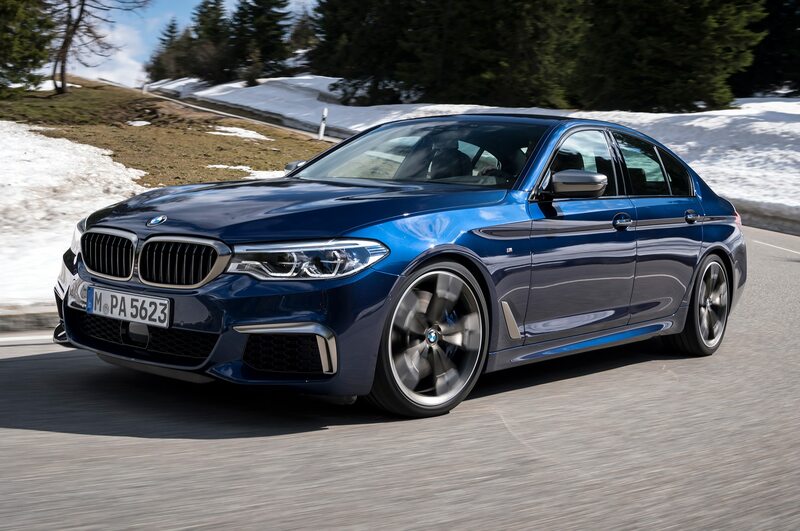 All in all, it’s a pretty crappy day to drive the new 2018 BMW M550i xDrive, but the show must go on. 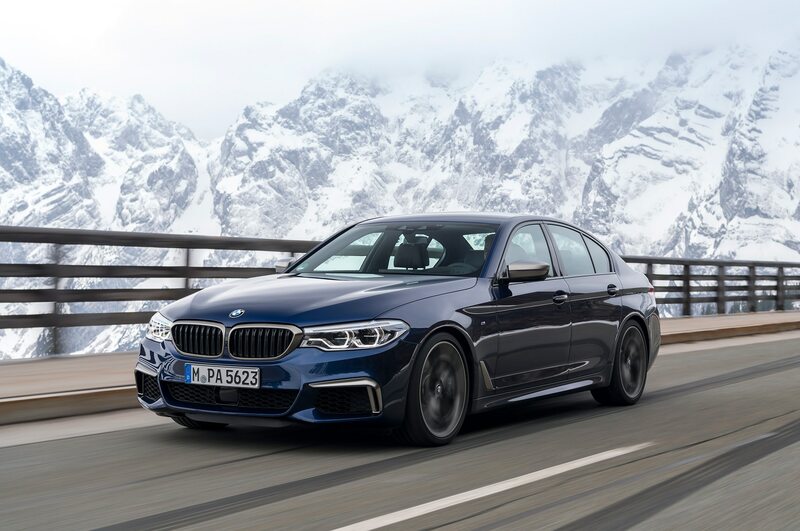 These conditions forced BMW to hastily fit the line of 5 Series parked outside with winter tires, which made the engineers on hand quite grumpy. 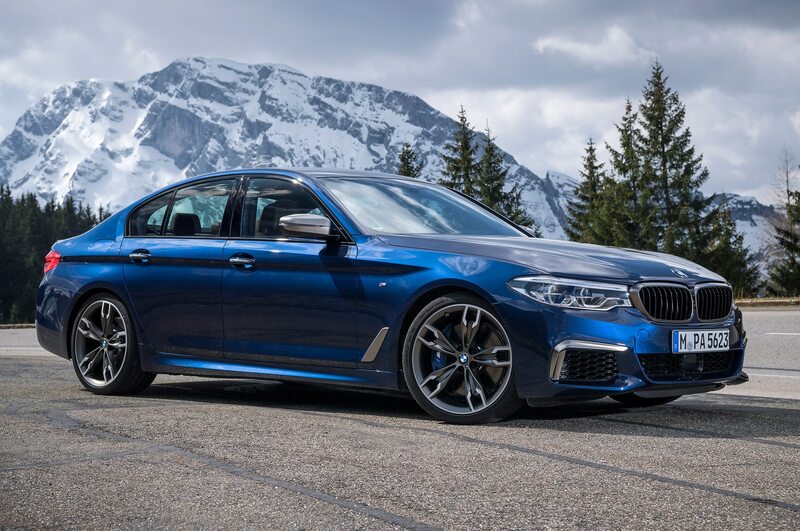 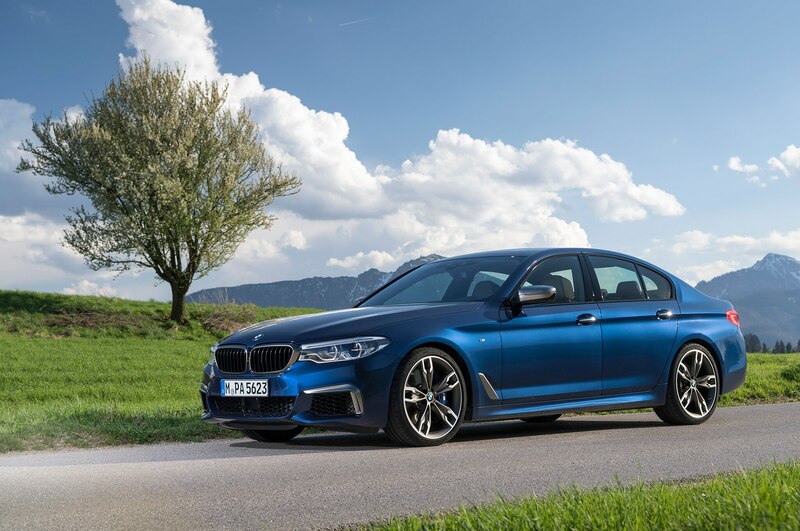 It’s not just the rear-biased nature of the xDrive all-wheel drive system that prompted the caution, but also the M550i’s 4.4-liter twin-turbo V-8, which packs 456 horsepower and 480 lb-ft of torque, the latter on offer from just 1,800 rpm. 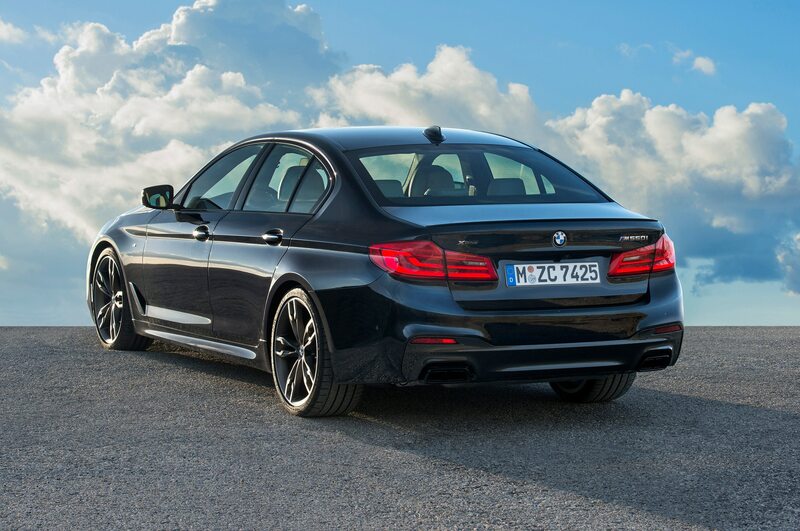 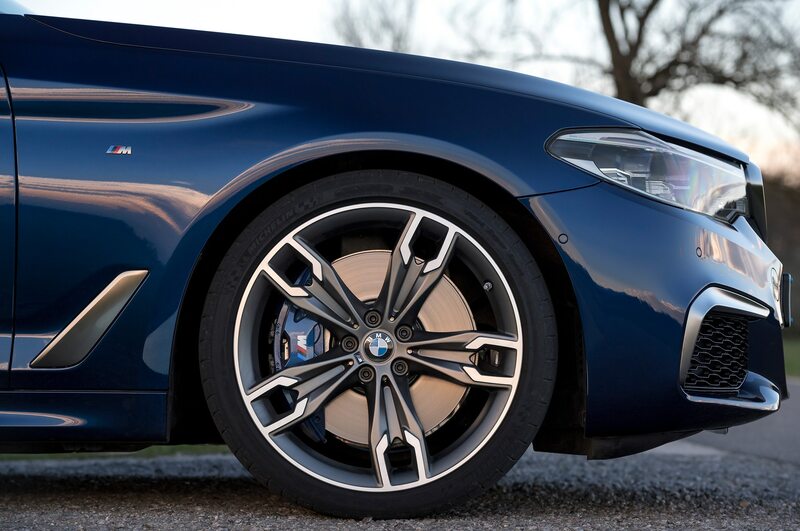 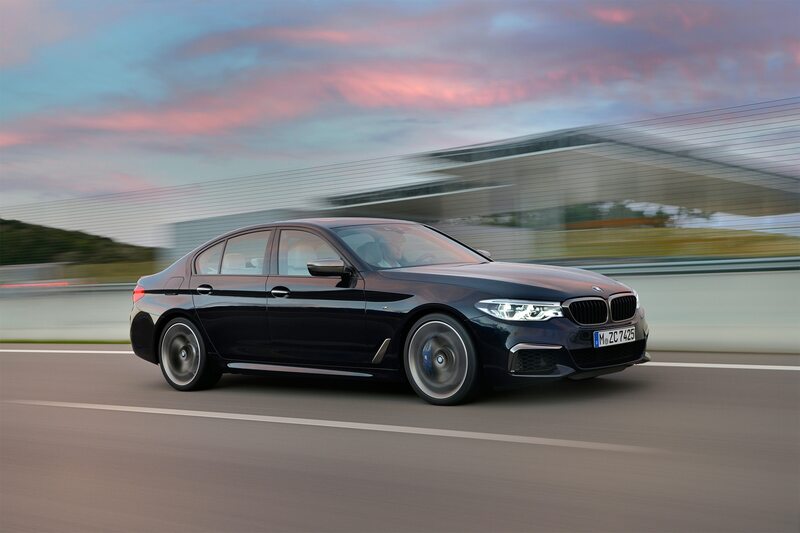 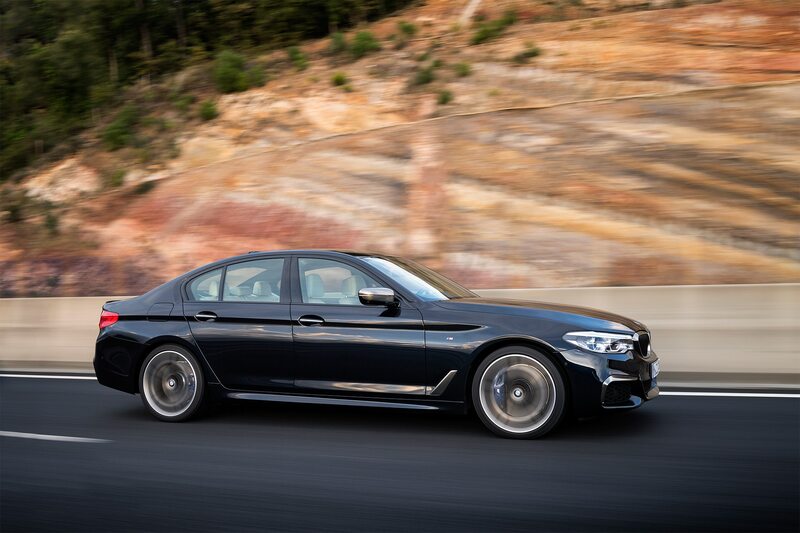 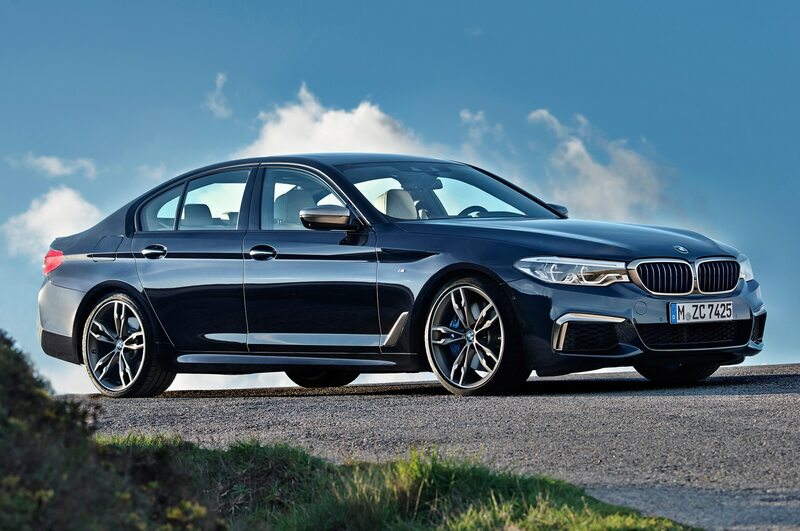 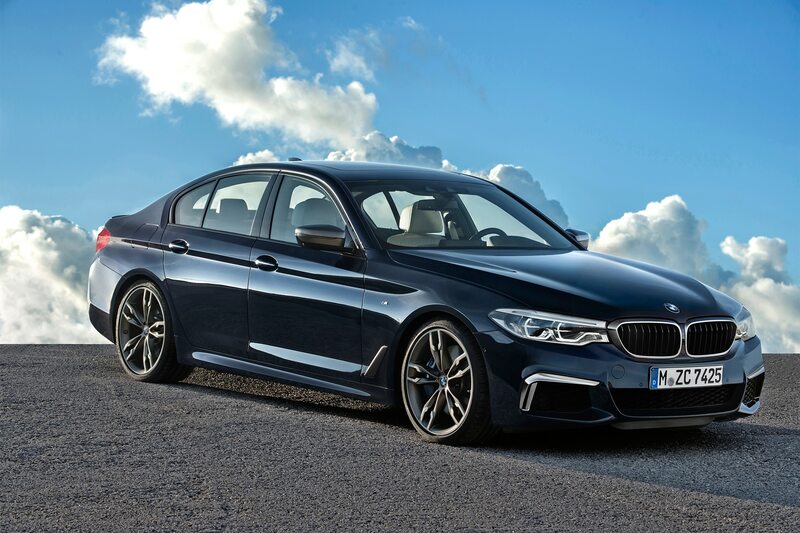 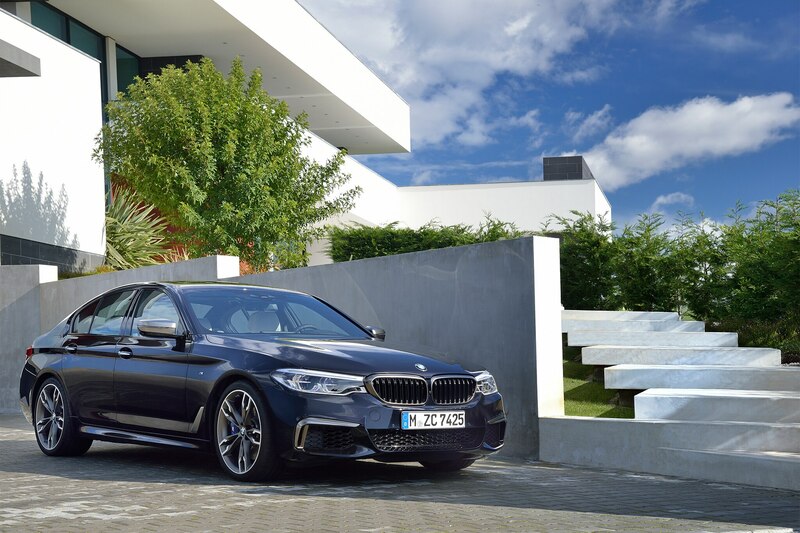 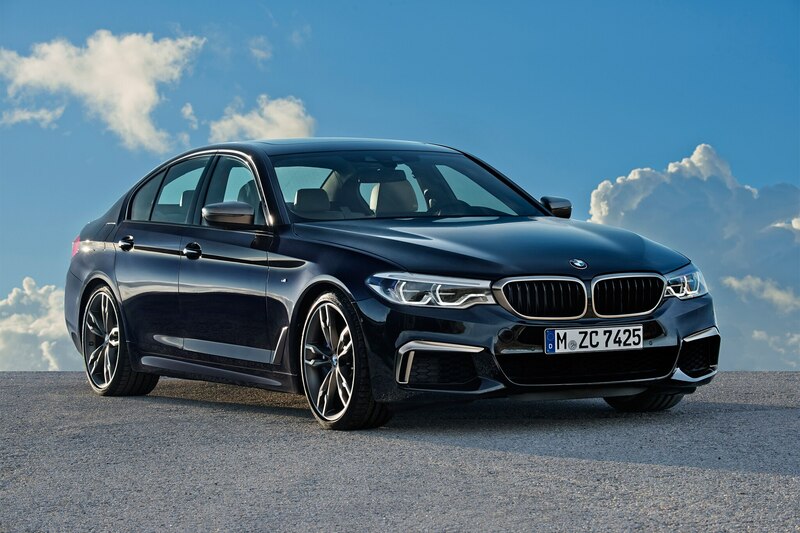 Until the arrival of the G30 M5, this is the king of the new 5 Series family. 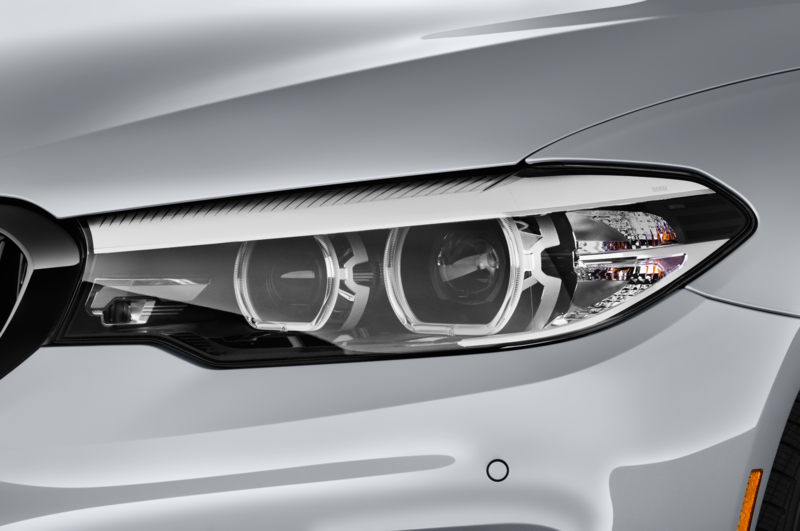 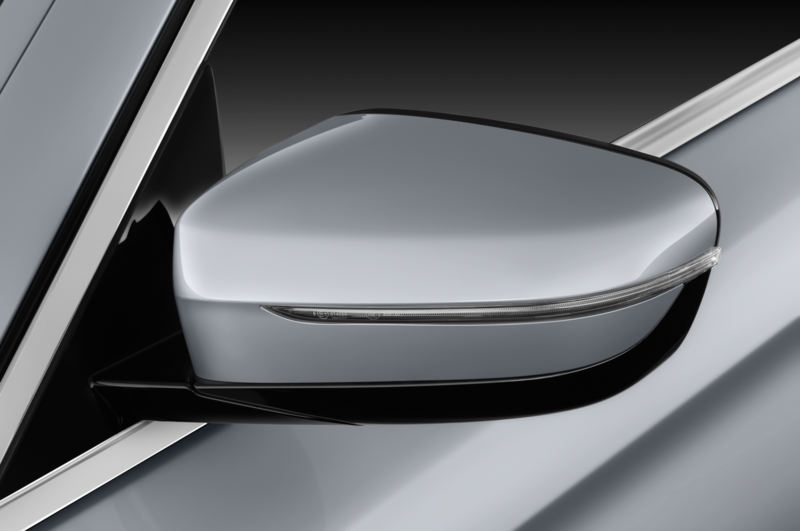 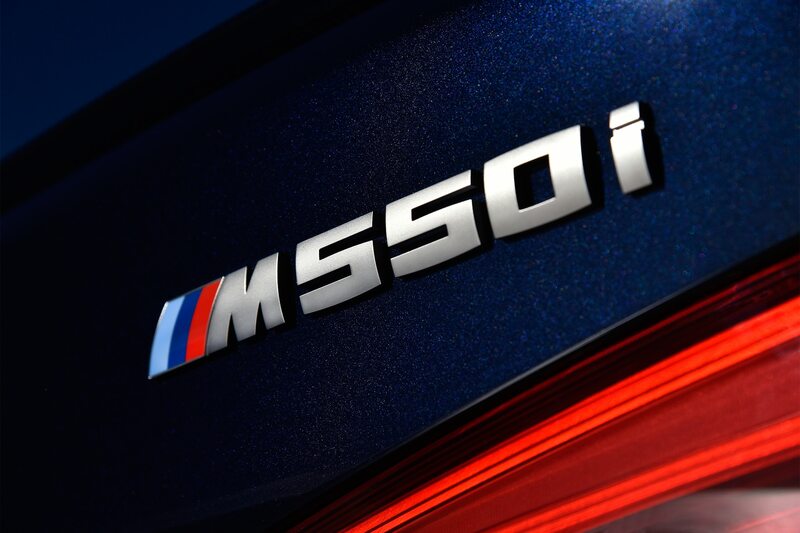 It also offers us some clues about the next M5, which is due later this year. 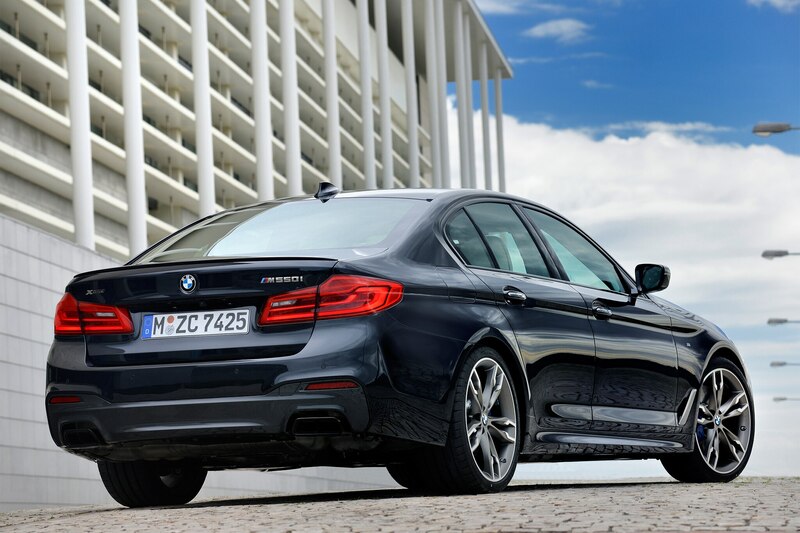 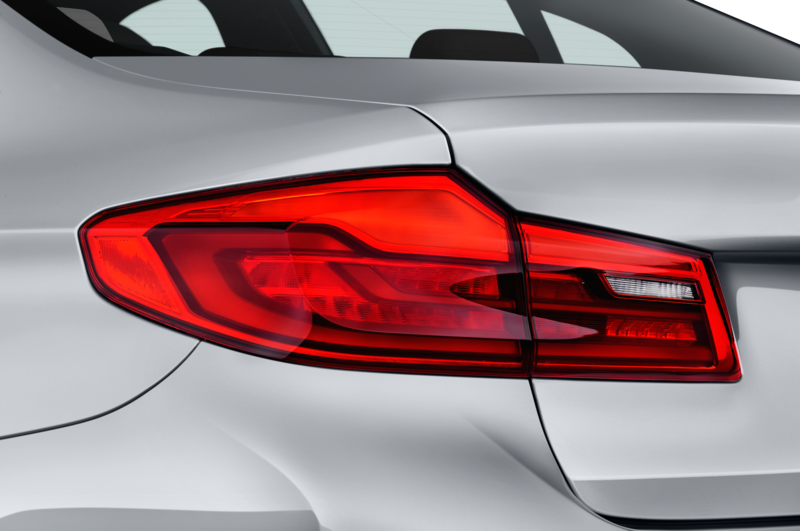 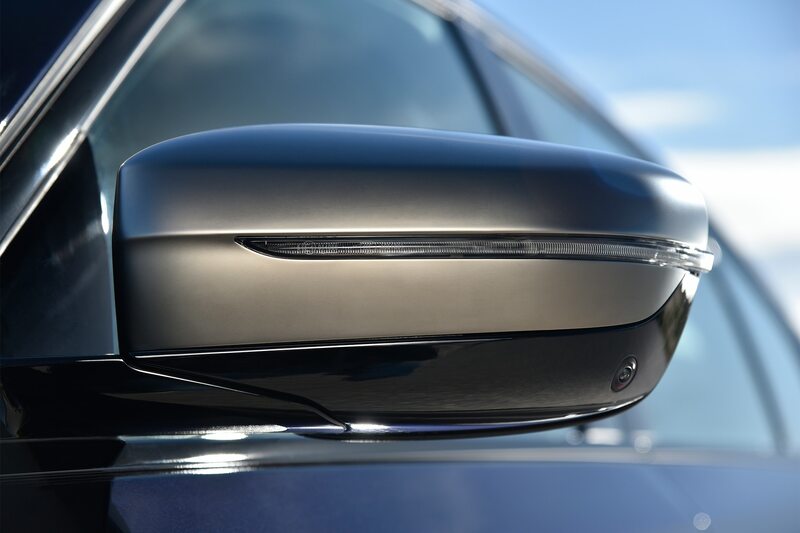 In case you missed the news, it will also feature all-wheel drive. 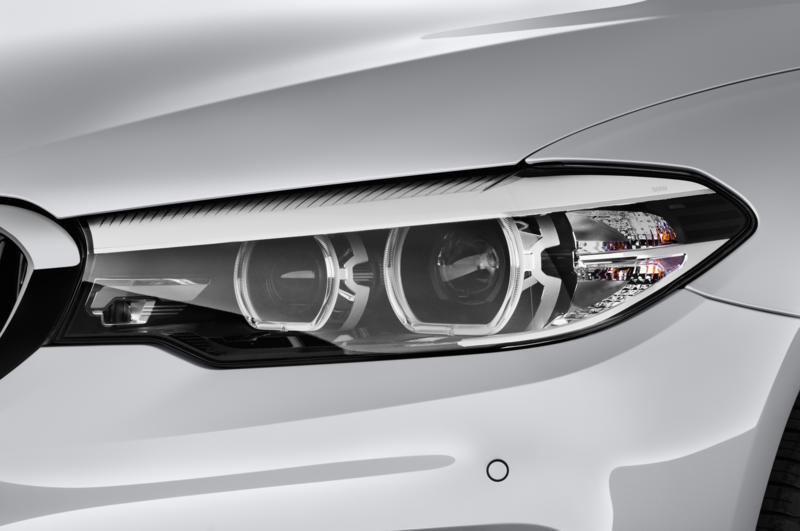 So, despite the gloomy fog, today should be illuminating. 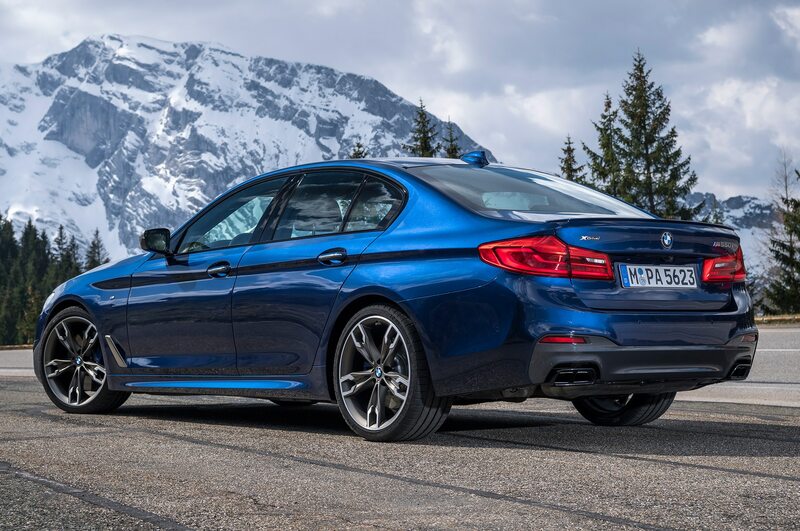 The bit of snow swirling around and meltwater flowing over the road will certainly give the xDrive system something to think about. 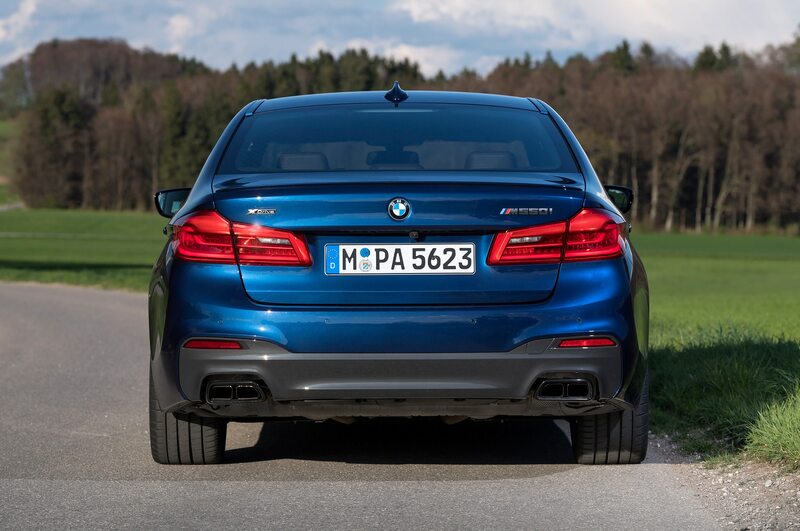 Plus, well, the sound of the M550i’s engine somehow makes everything seem okay. 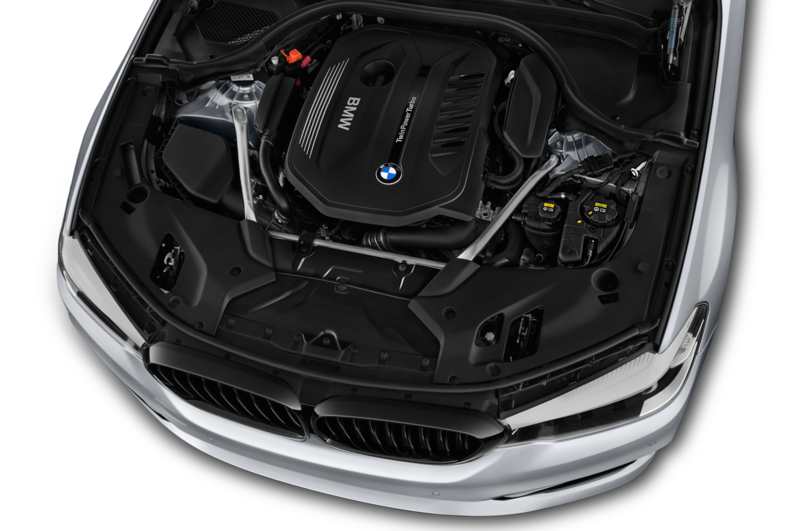 It’s a big, deep, old-school V-8 noise. 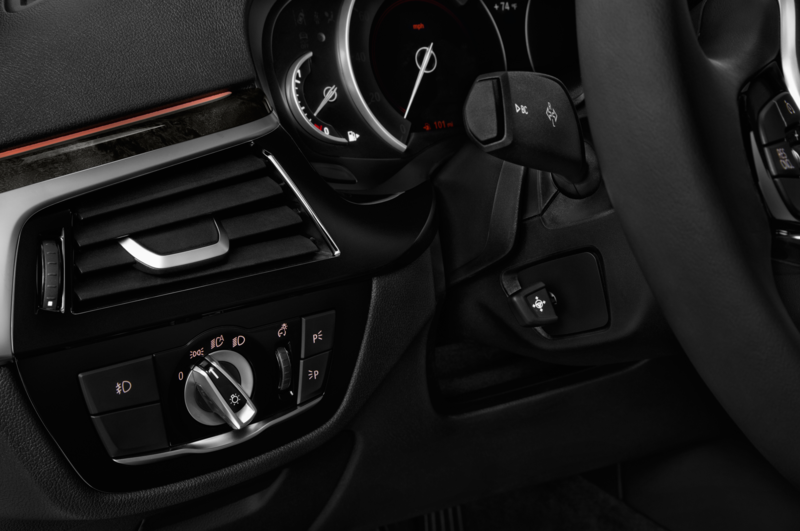 But while the soundtrack is soft and mellow at low revs, response is anything but. 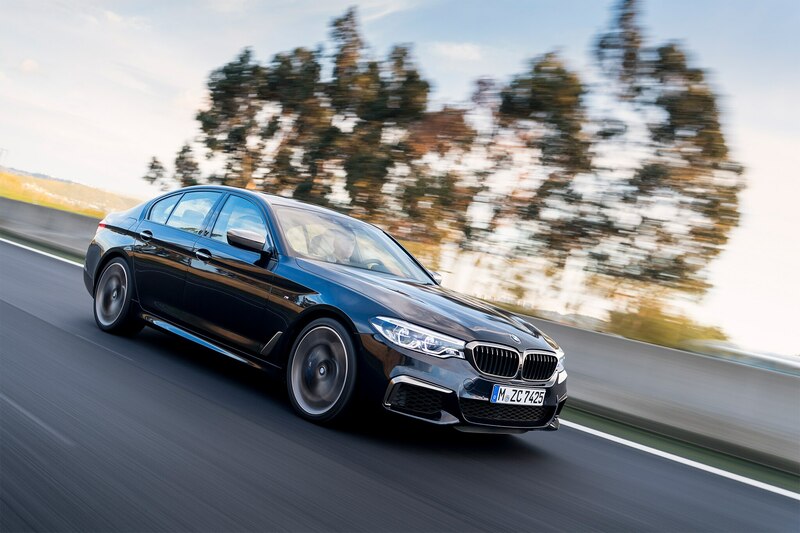 Even the slightest tickle of throttle, from as little as 1,500 rpm, picks up this 4,372-lb sedan and hurls it headlong into the fog. 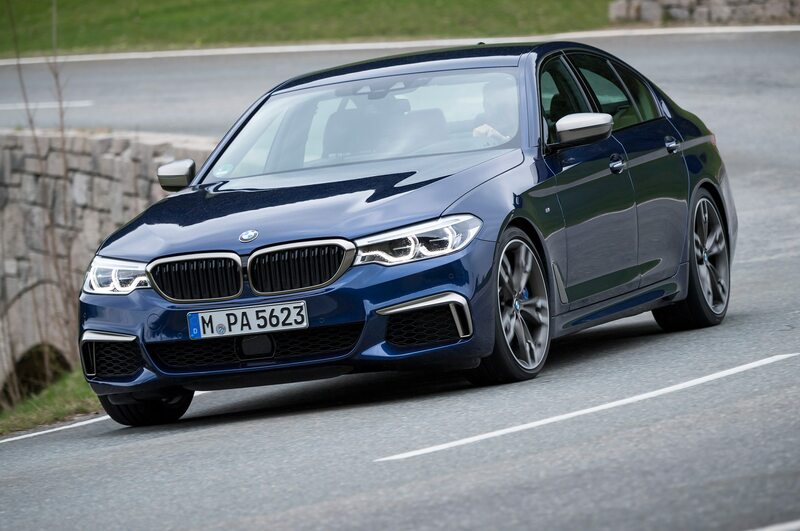 I guess I was guilty of thinking of this $73,095 BMW as merely the warm-up act for the M5, not to mention another example of BMW leveraging the once-hallowed “M” badge on a product without a hint of motorsports in its blood. 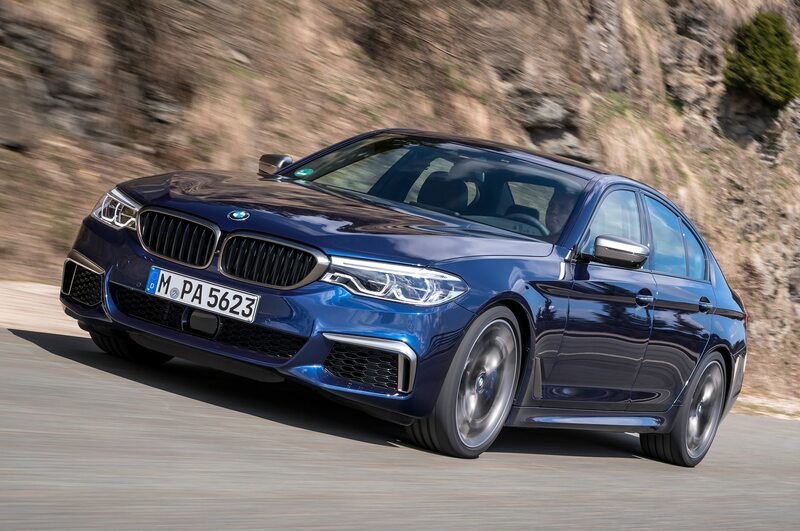 Pretty soon, though, my apathy is evaporating and the idea of a luxurious, all-weather, and undemanding 5 Series with near-M5 performance but a more laid-back attitude seems like a fine idea. 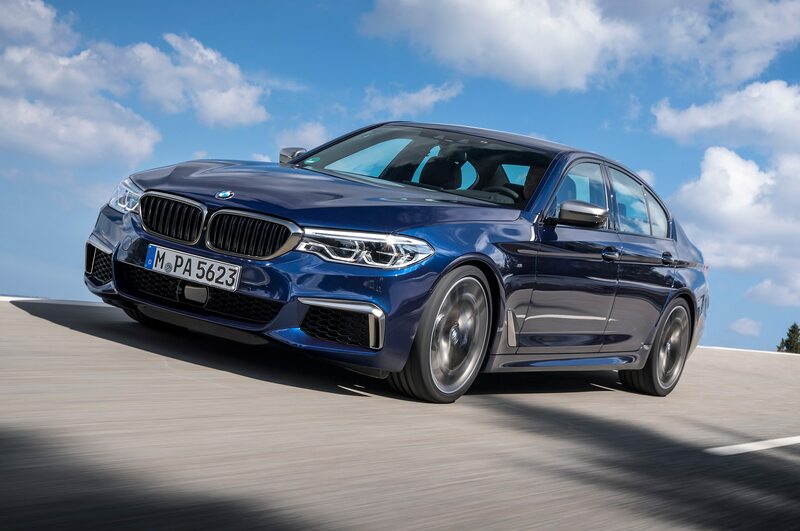 The M550i xDrive will launch from 0-60mph in 3.9-seconds — quicker than the F10-generation M5, thanks mostly to the all-wheel drive traction — but also slips along silently when you wish, and it always feels secure, unruffled, and almost agile. 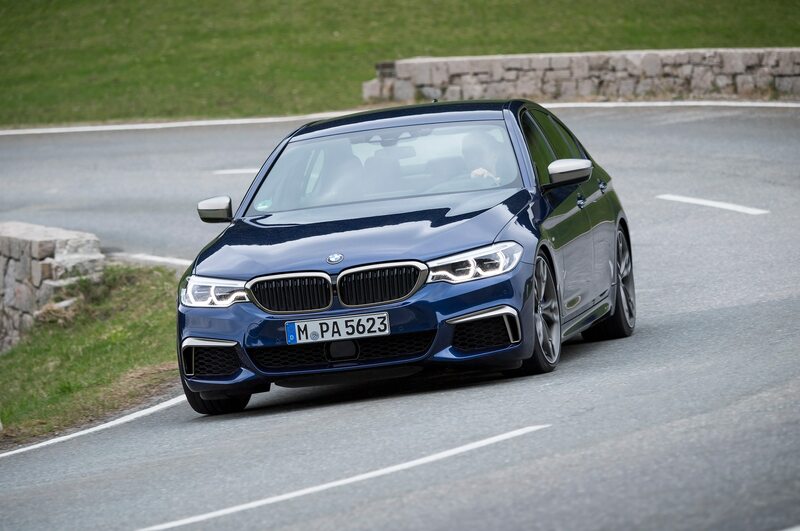 As is increasingly common in performance cars, tapping the M550i’s full potential requires some priming. 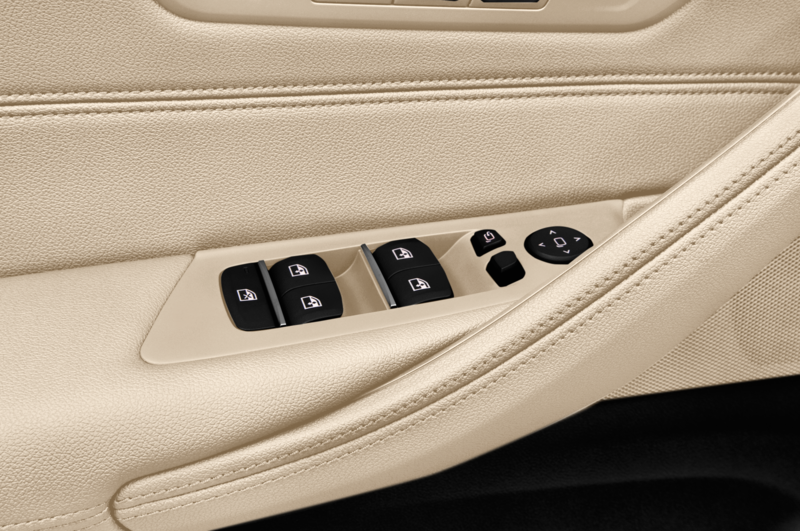 Usually that would mean selecting Sport or Sport+ modes and accepting some compromises. 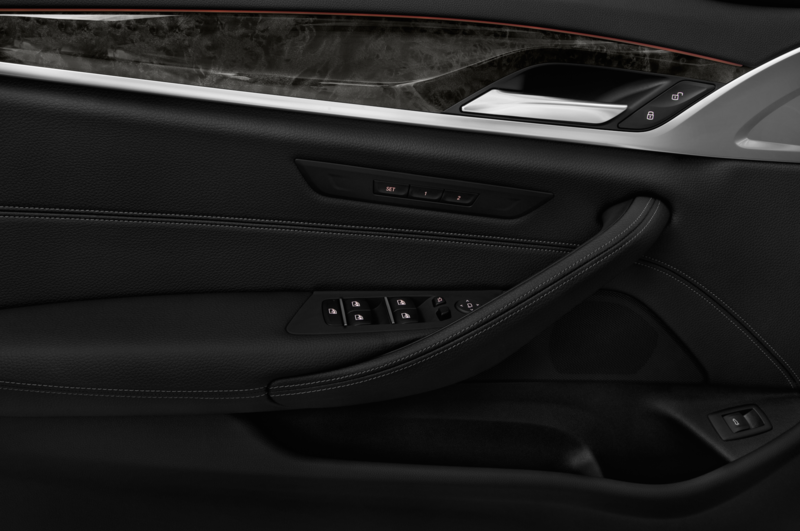 Not here. 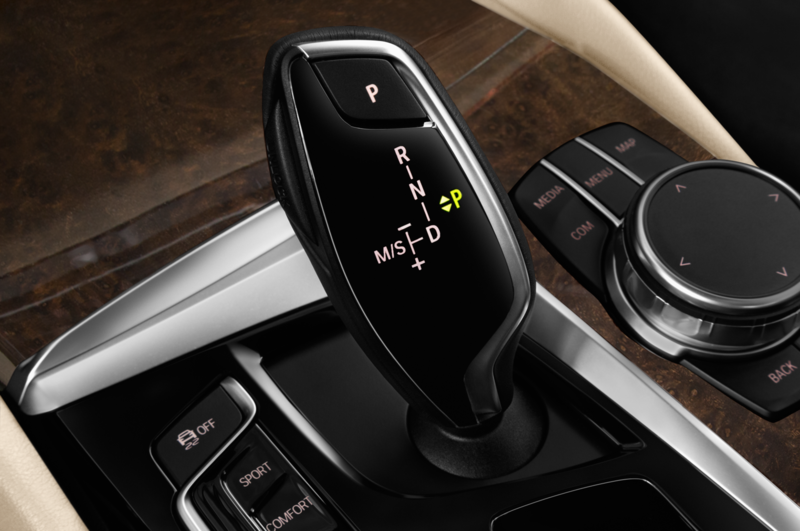 Do you like the gearbox programming in Sport, but hate the heavier steering? 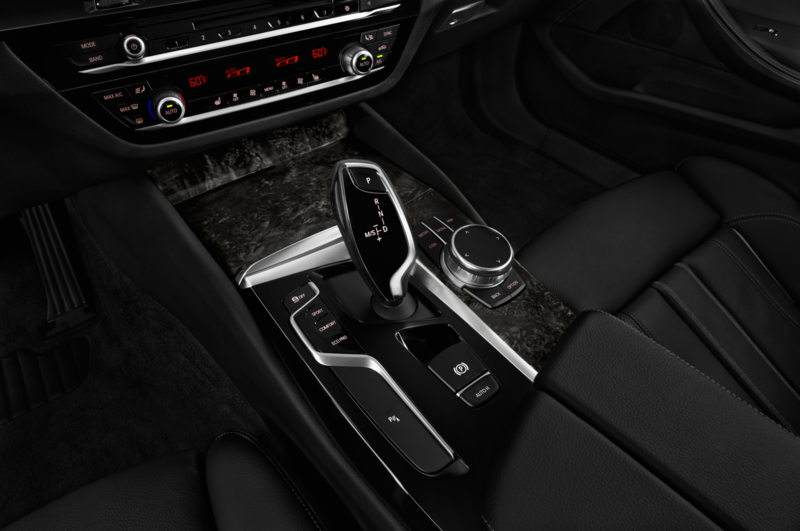 Love the added tension imbued by the most aggressive Sport+ suspension and more lenient stability-control settings, but can’t stand the super-responsive throttle pedal? 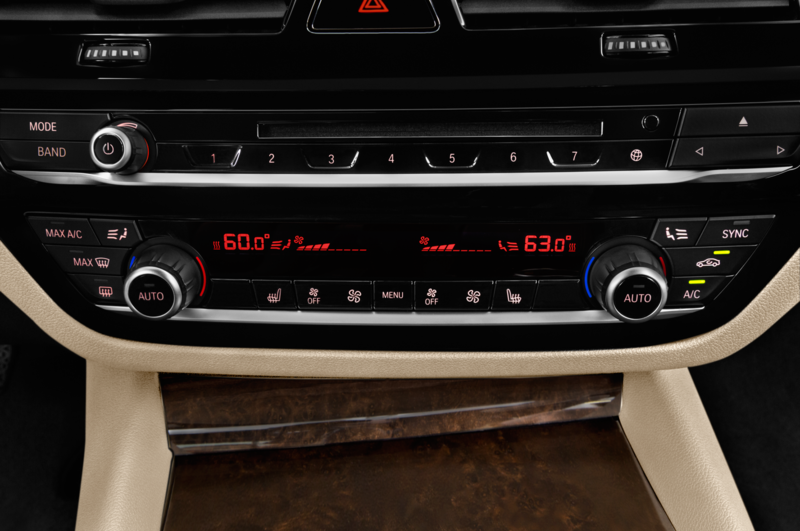 Well, there’s now a Sport+ Individual setting, which allows you to mix and match settings to suit your tastes. 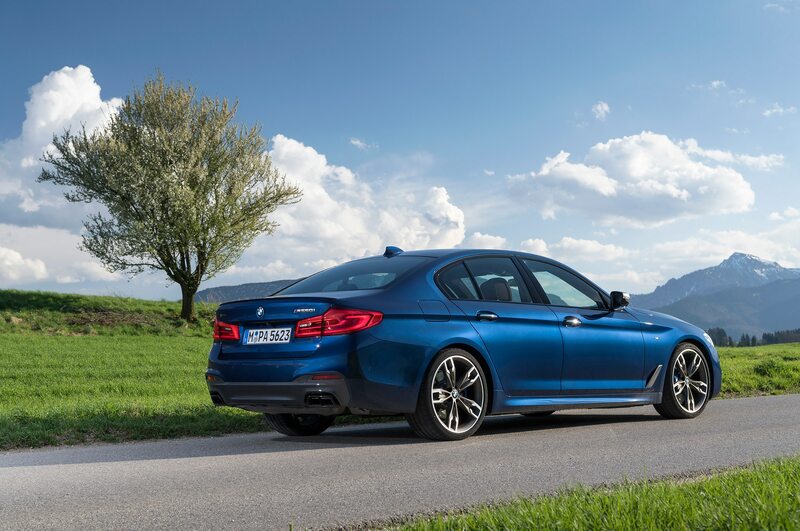 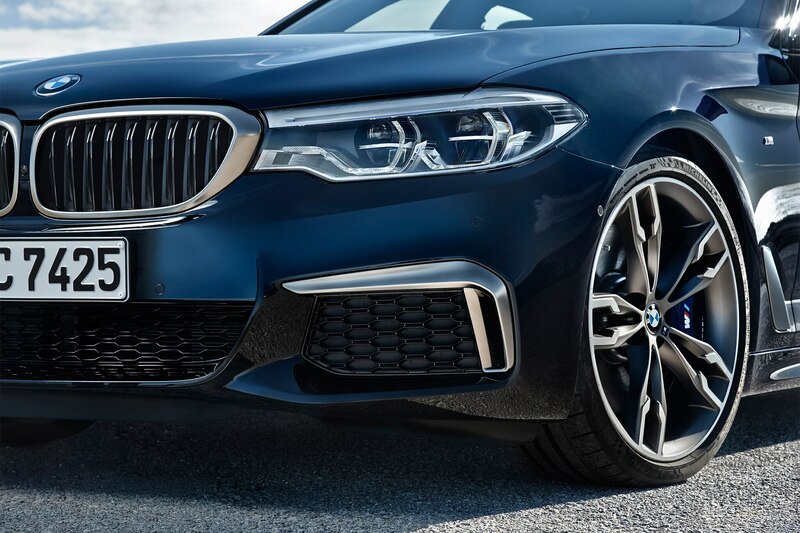 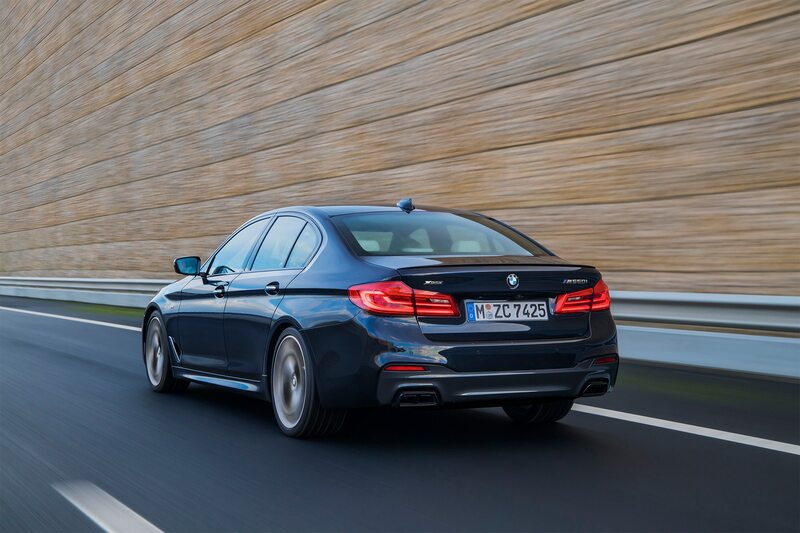 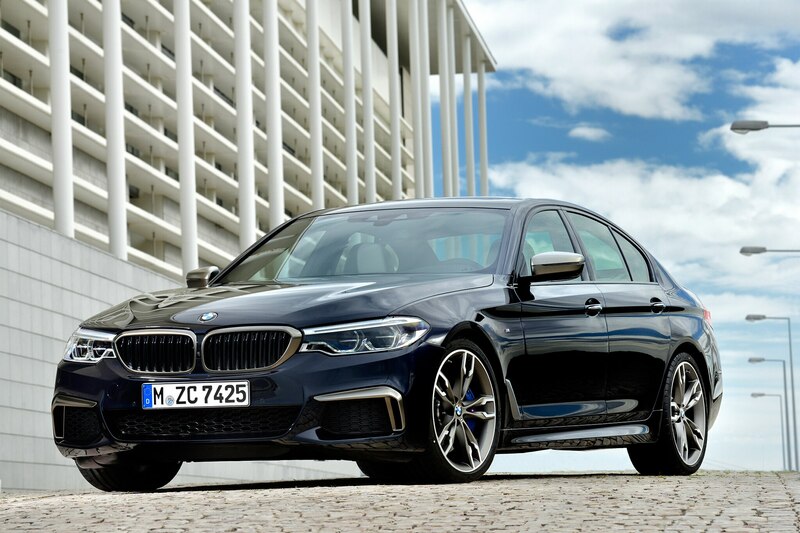 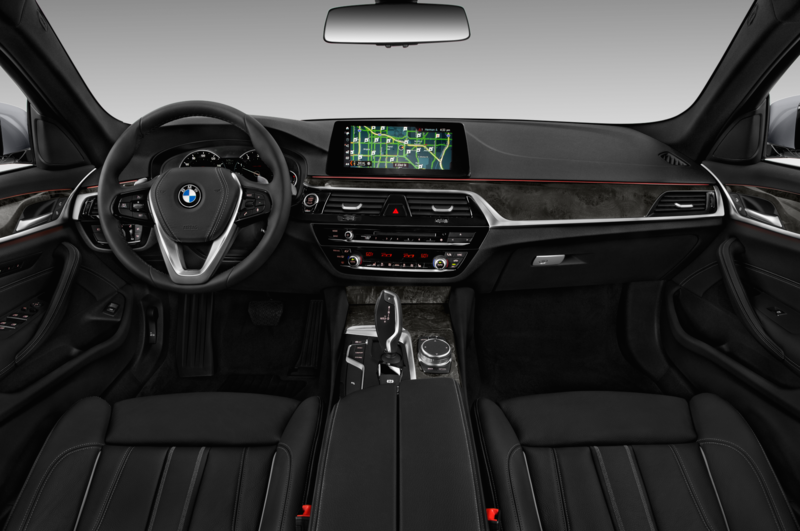 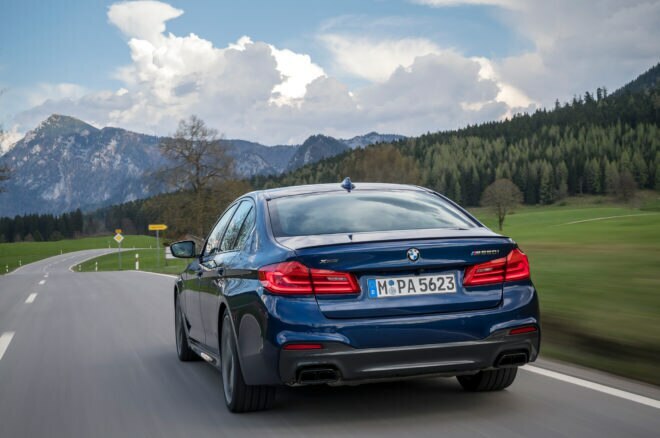 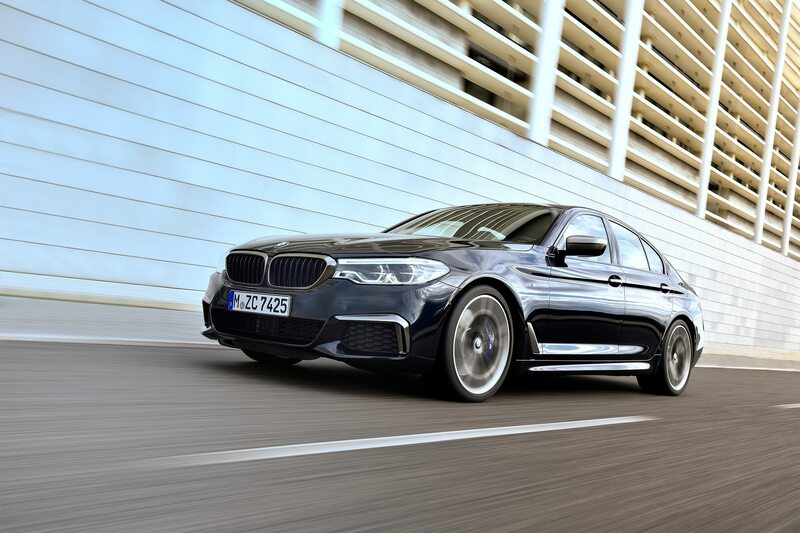 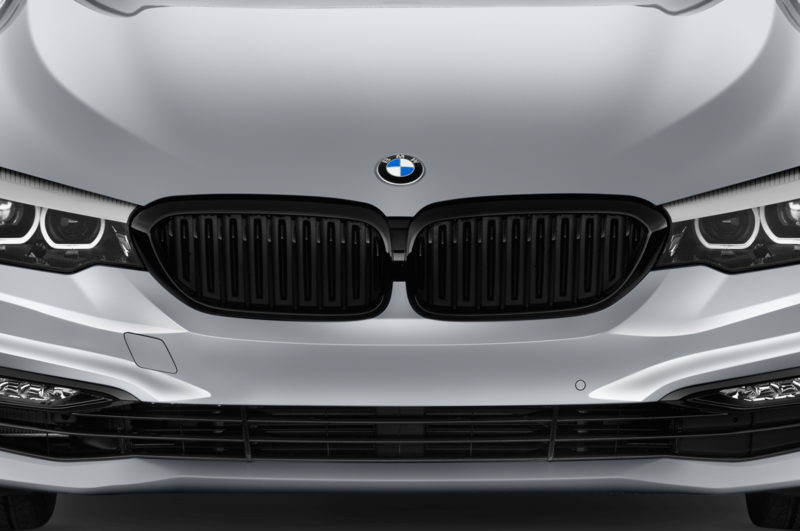 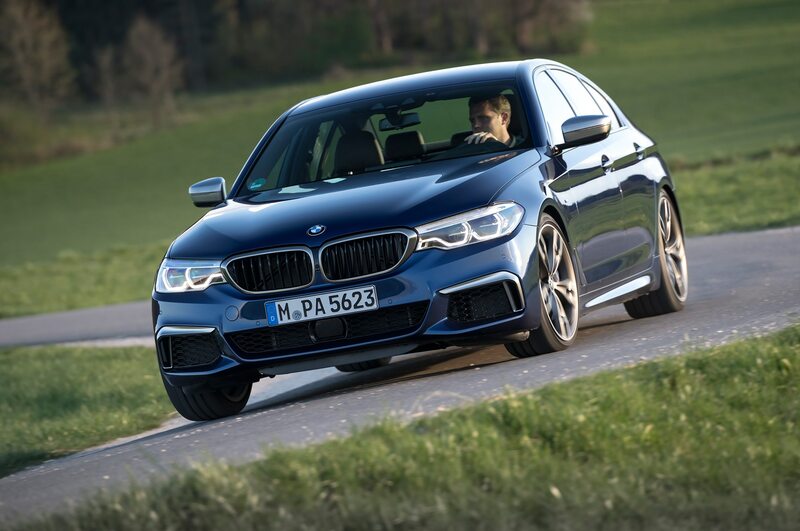 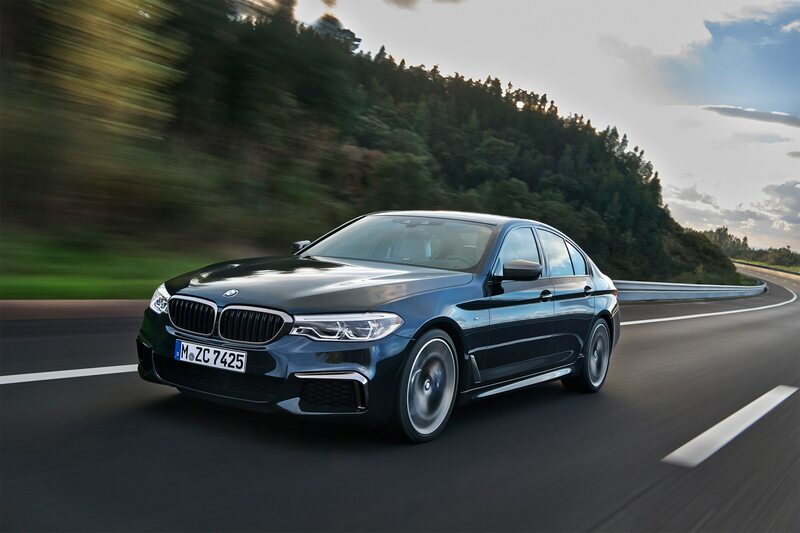 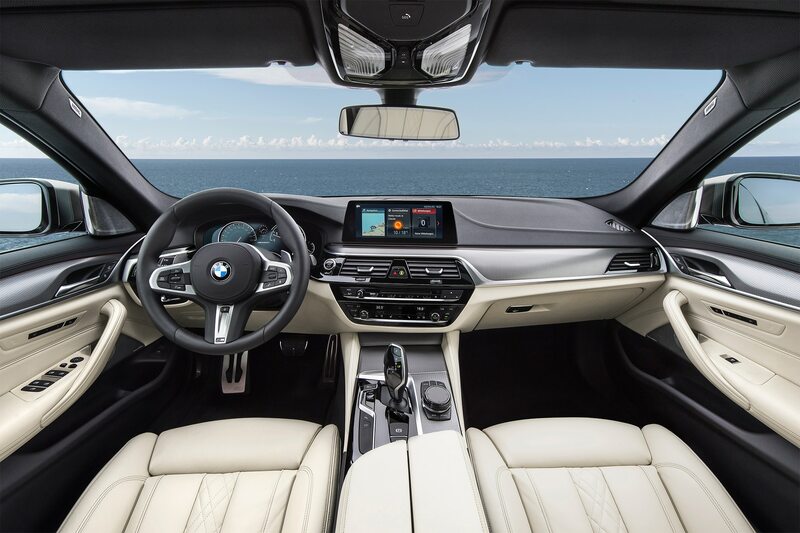 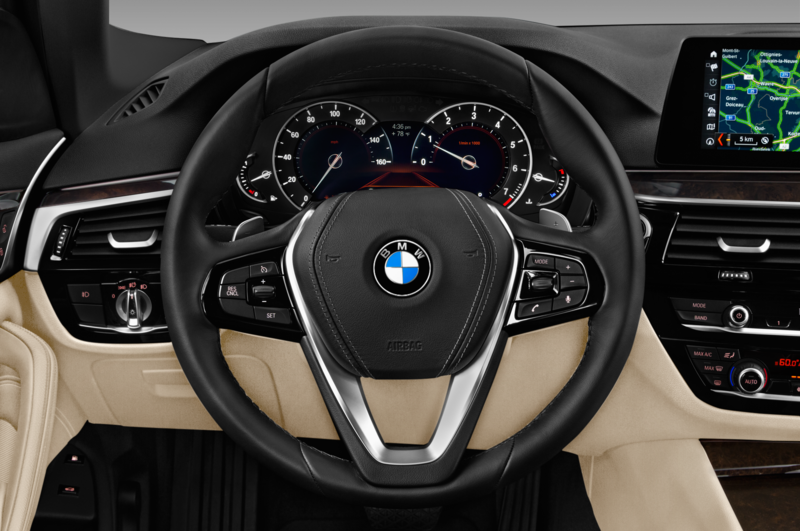 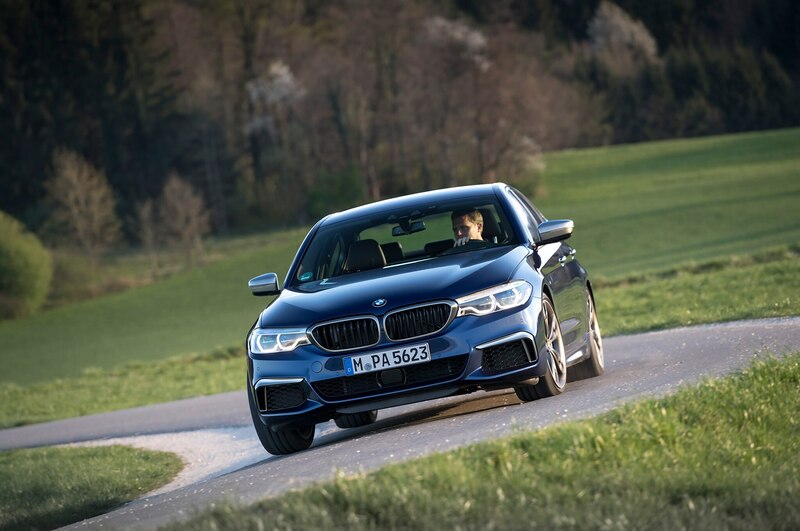 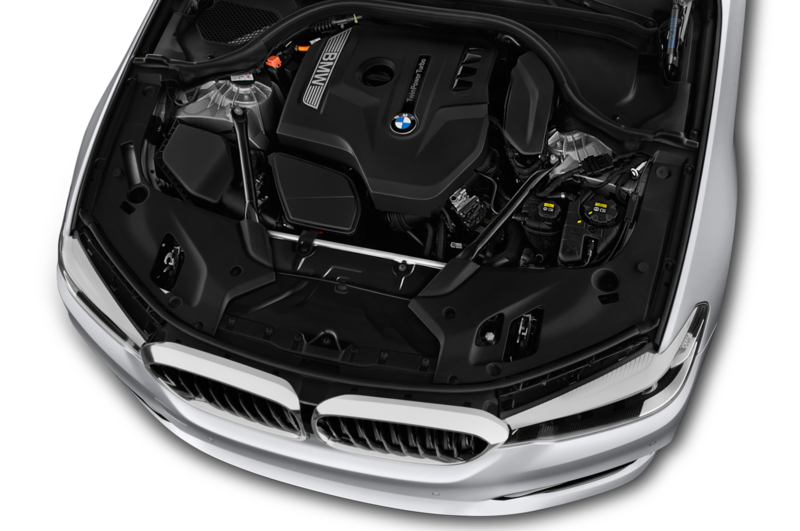 According to engineers, to create the ultimate M550i, you’ll also want the revised Integral Active Steering (BMW’s rear-steering system), which comes as part of the $3,600 Dynamic Handling Package. 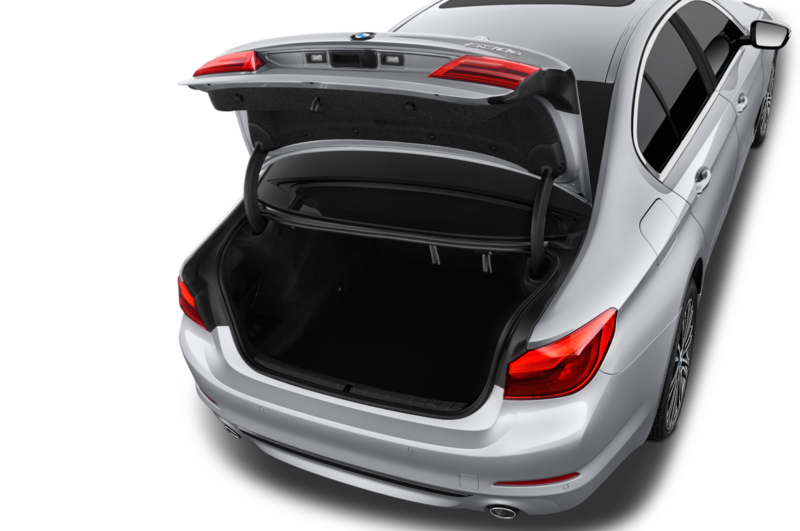 It’s a box worth ticking as you also get Adaptive M Suspension Plus and Active Roll Stabilization — active roll bars along the lines of Porsche’s PDCC system. 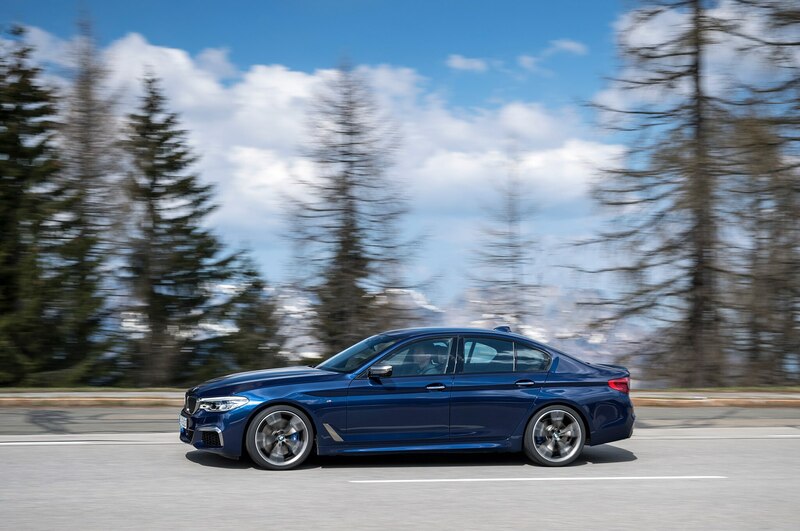 Our test cars had the Adaptive suspension, which sits 0.4-inch lower than that of humbler 5’s, but not rear-wheel steering or active roll bars. 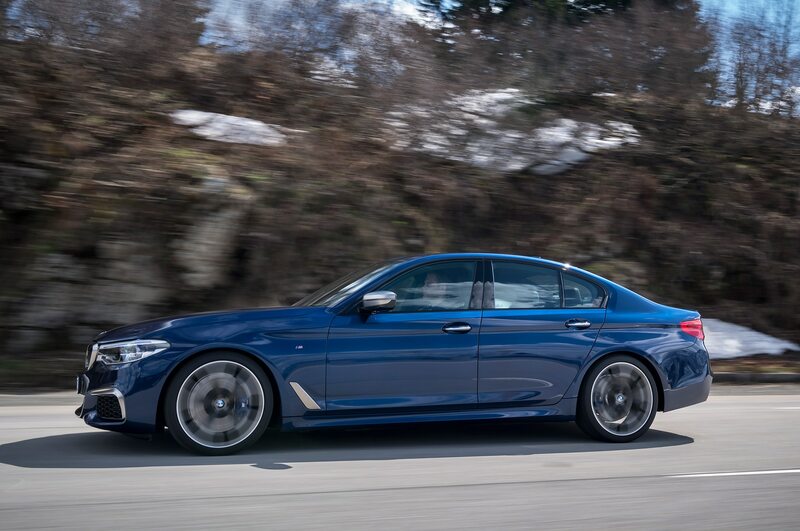 Despite the chassis trickery built-in to hide the M550i’s weight and size, and the hobbling 18-inch Michelin winter tires instead of the stock 20-inchers, this big sedan changed direction pretty well. 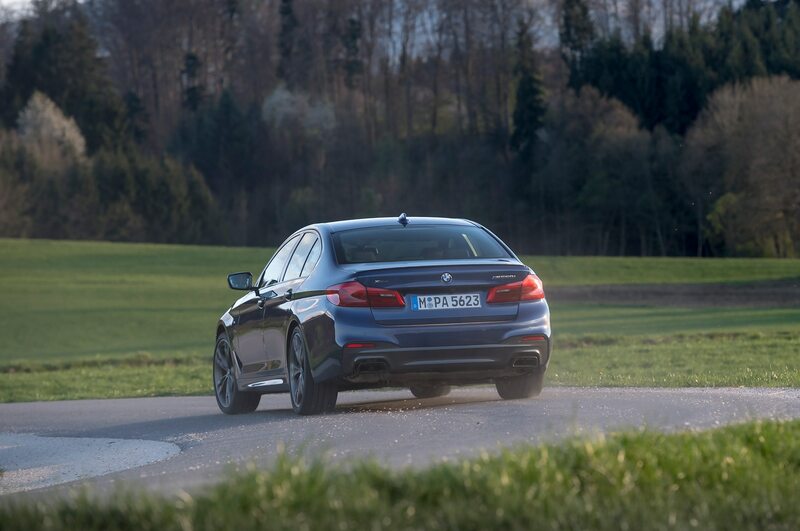 A little understeer may be felt on turn-in to mountain hairpins, but grip levels remain high and traction from mid-corner is exceptional. 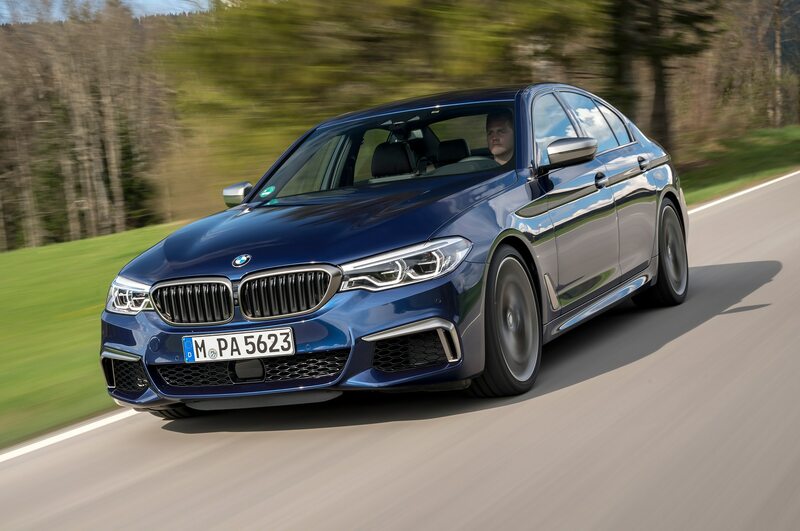 Despite carrying itself more like a traditional rear-drive BMW, the M550i felt composed and not heavily reliant on electronics. 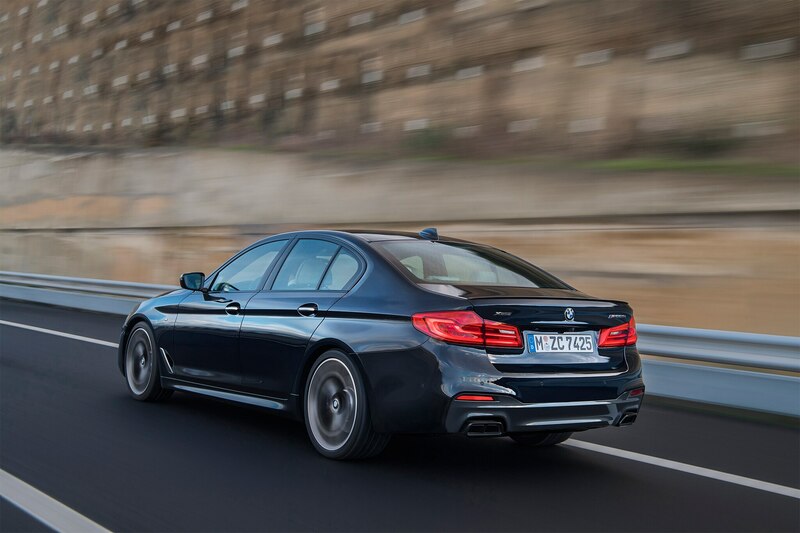 In fact, stability-control intervention was noticeable mostly by its absence. 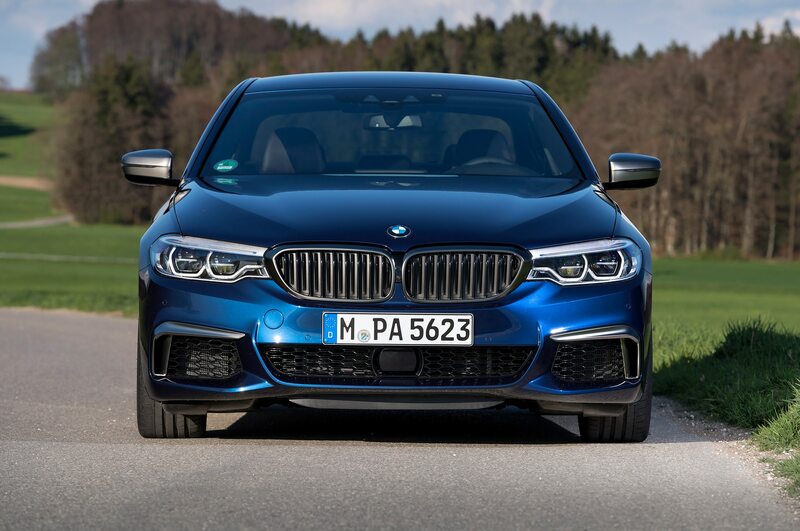 Back down closer to sea level and on fast, gently curving roads, the M550i xDrive continues to inspire confidence. 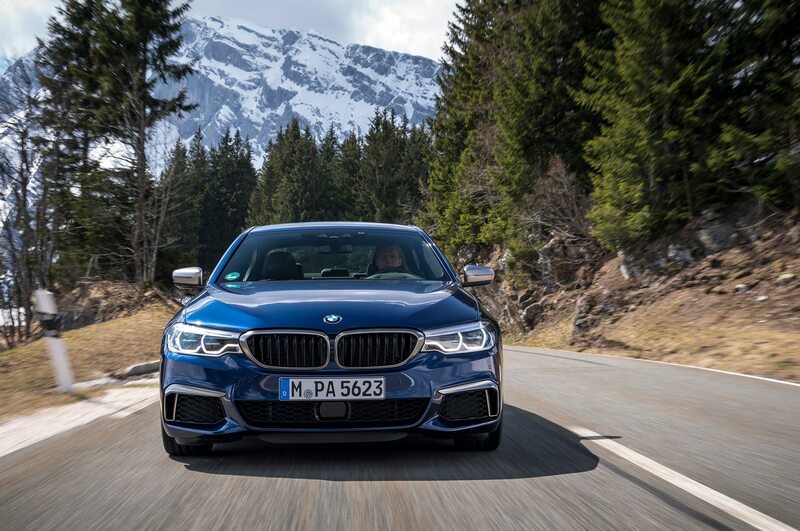 Steering is smooth and accurate, the ride — aided by the smaller diameter winter rubber, certainly — is controlled but soothes away the few stretches of bad surface we encounter, and the engine always seems to have so much in reserve. 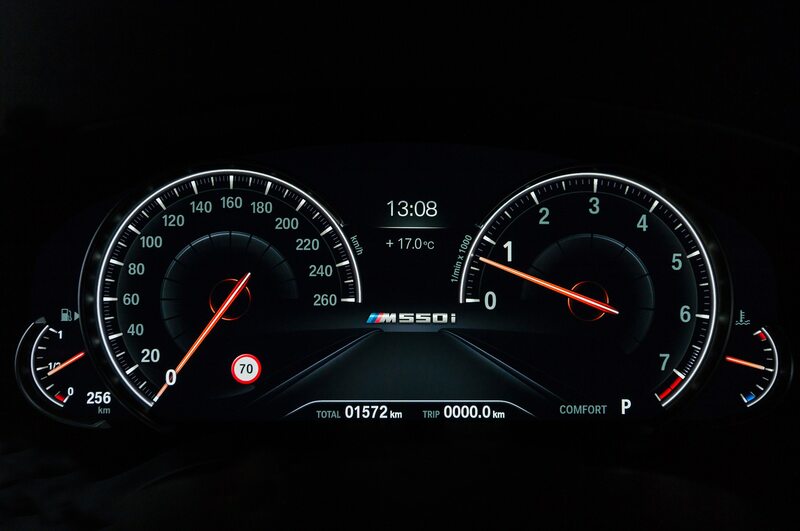 The V-8 picks up hard at low revs and then pulls cleanly to the limiter, while the eight-speed automatic box is smooth and decisive, kicking ever so slightly when changed manually via the shift paddles. 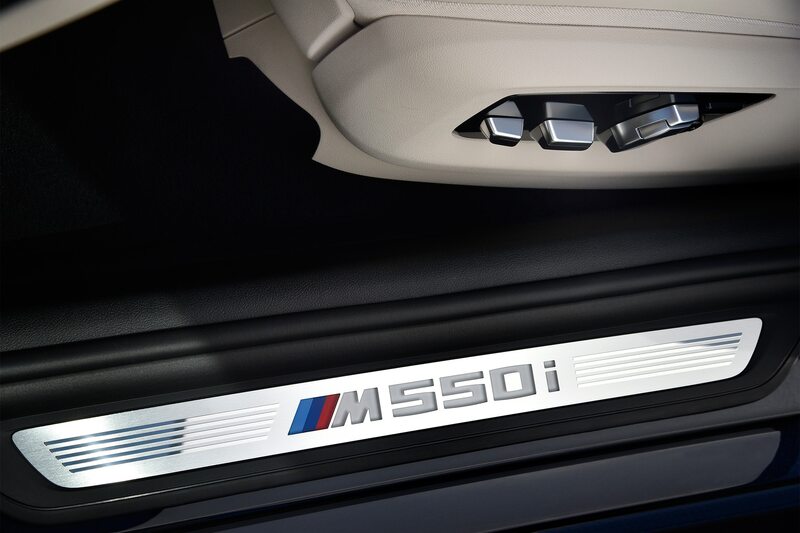 The engine sounds fantastic, too. 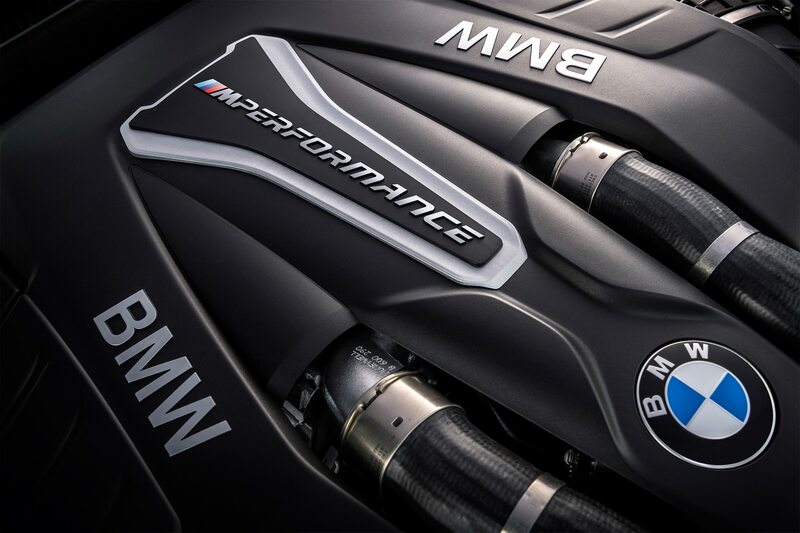 There’s real menace to the way it rips up toward the limiter, but my personal favorite exhortation from the blown V-8 is the bassy rumble when you crack open the throttle from 2,000 rpm or so. 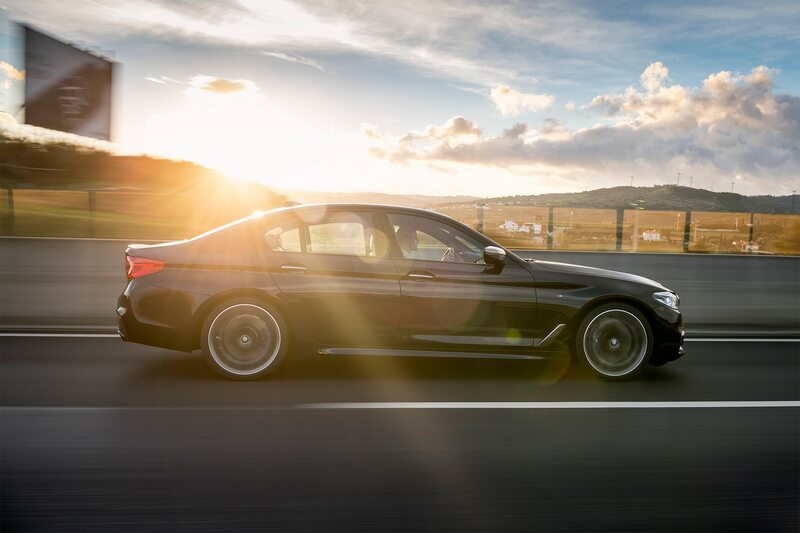 You couldn’t mistake the distant bellow for anything other than a V-8. 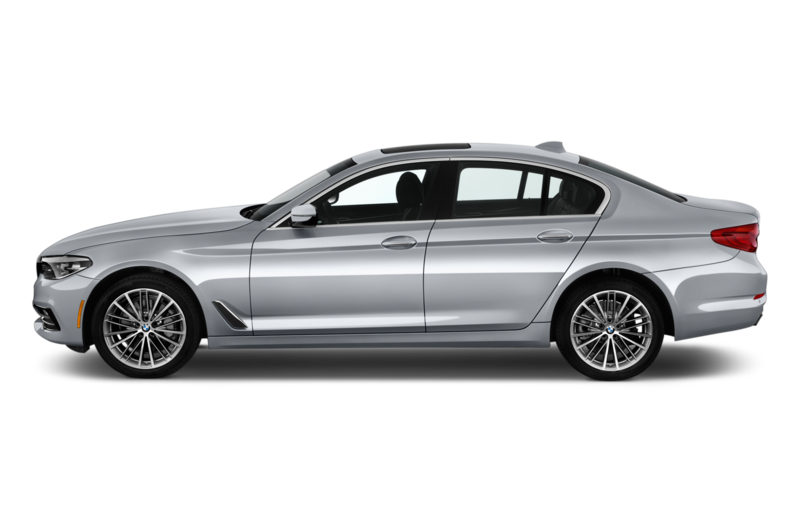 This is one of the first BMWs I’ve tried where the Sport and Sport+ settings feel very well judged. 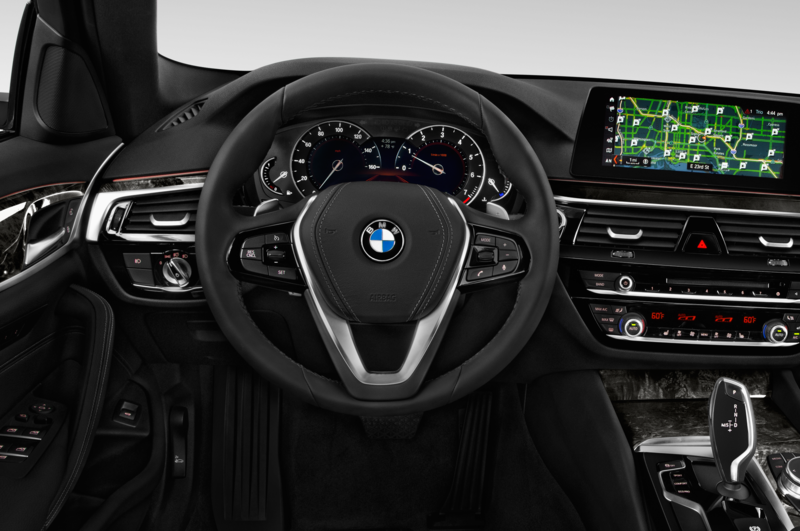 Steering doesn’t get heavy and gloopy as you toggle up through Eco Pro and then Comfort modes, the throttle pedal doesn’t suddenly become binary, and I didn’t feel the need to fiddle with the Individual profile at all. 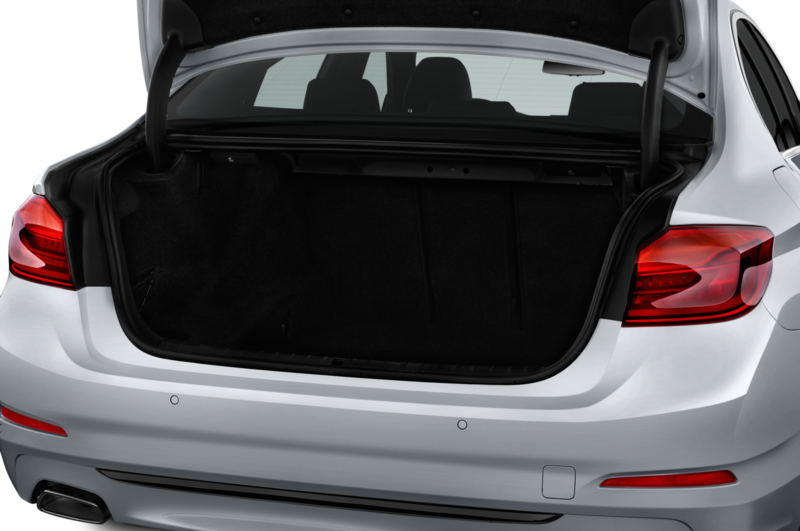 Nice to know it’s there, though. 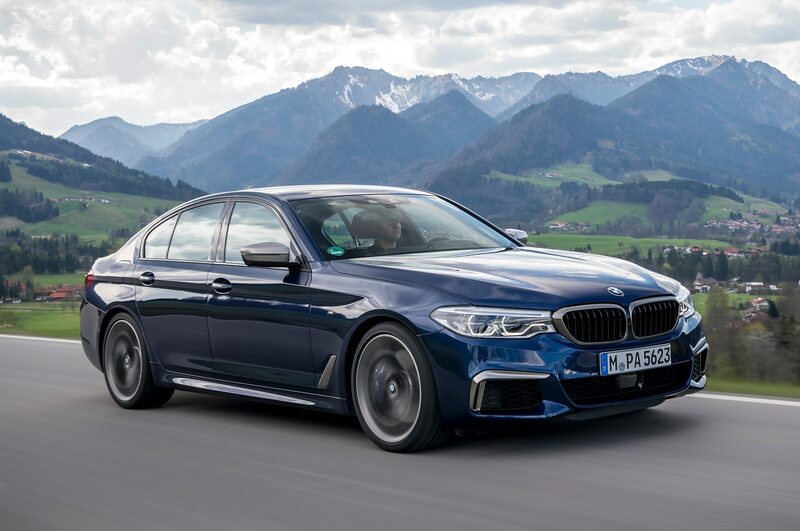 Beyond the smooth, powerful, and super-secure dynamics, the M550i xDrive gets most stuff right. 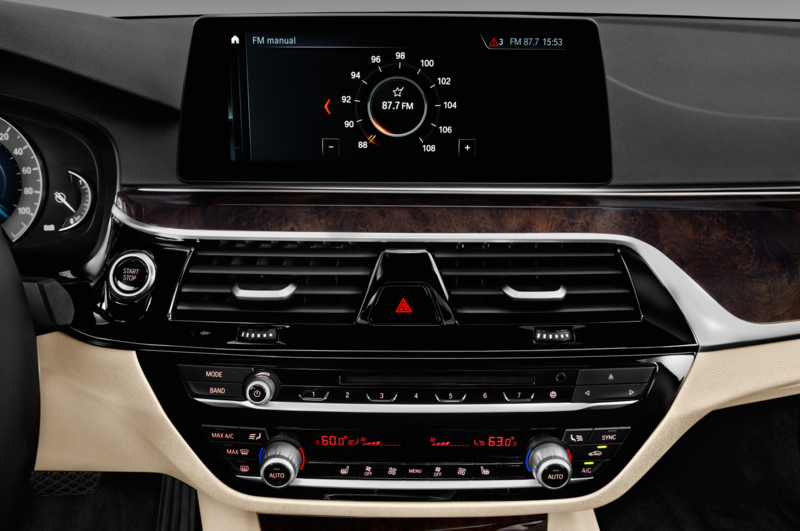 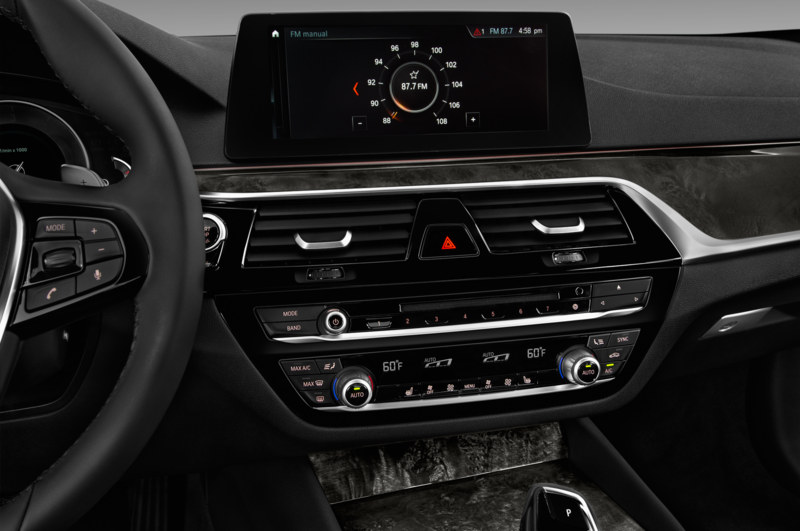 The updated iDrive infotainment system features a 10.25-inch screen with a new “tile” capability that allows the driver to look at up to five functions at the same time. 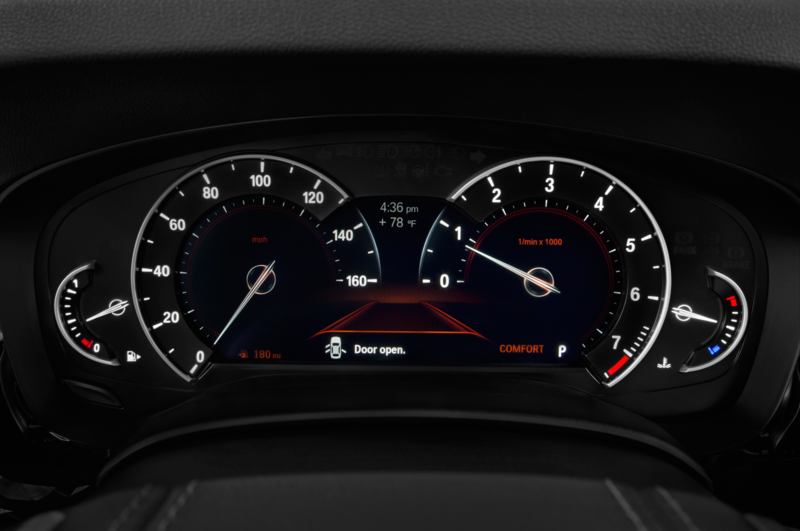 It is intuitive and quick. 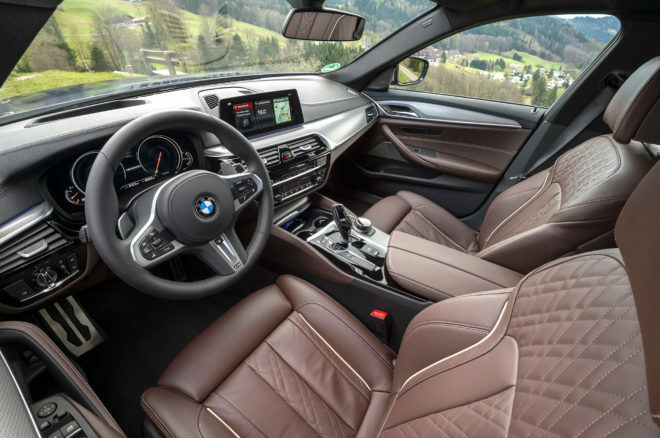 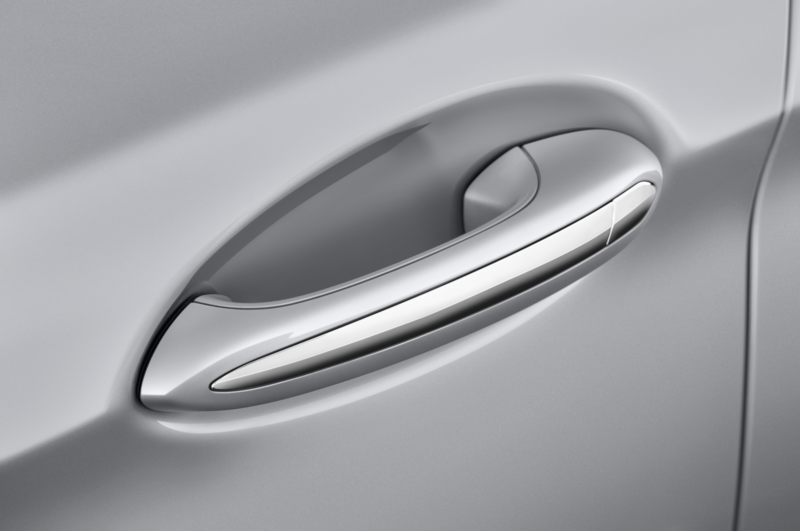 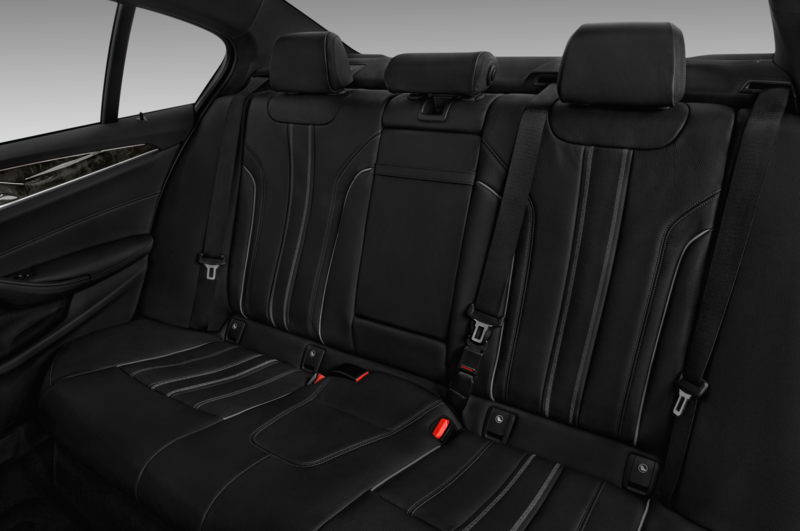 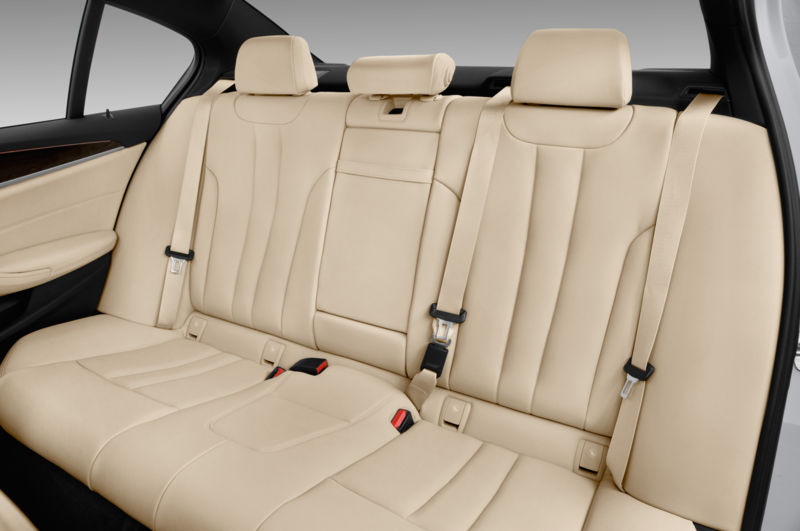 While the rest of the interior isn’t exactly overflowing with invention and style, quality is sky high, ergonomics are sound, and you emerge from long journeys barely taxed at all. 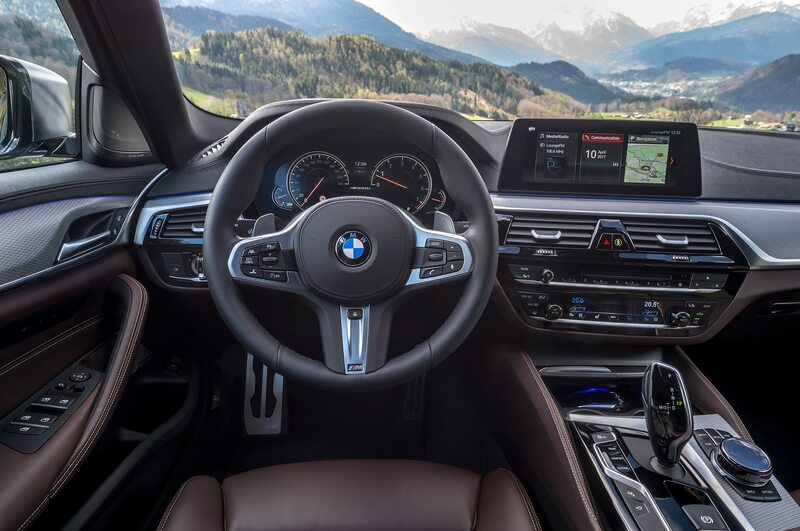 The whole vibe of the car melds pretty extreme performance with a quiet sense of control to beguiling effect. 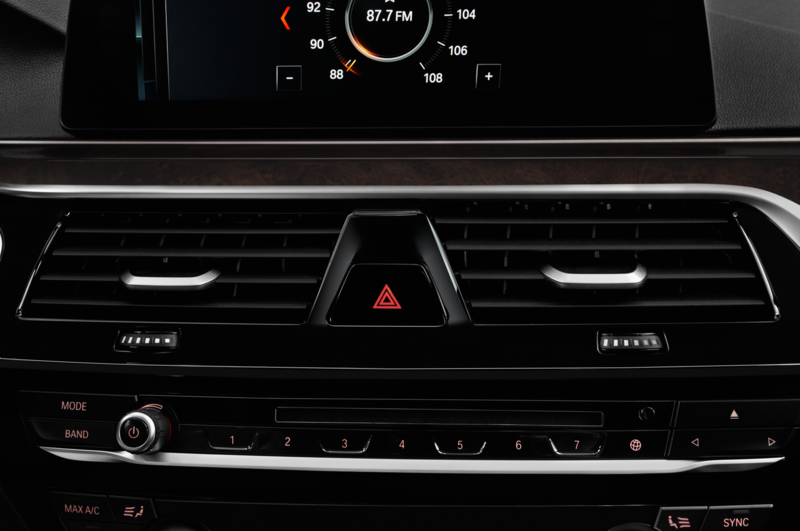 It’s like the previous generation M5, just dialed down to 8.5. And therein lies the rub. 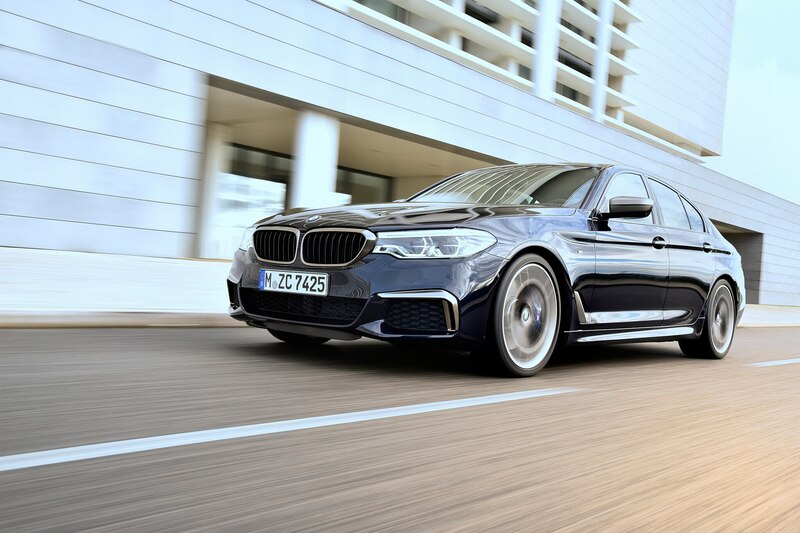 Although the M550i offers an enjoyable soundtrack and an impressive all-wheel-drive setup that feels like a rear-drive one, some will find the package to be overly effortless and “not M enough.” While there’s plenty of speed to be had, there’s no sense of urgency. 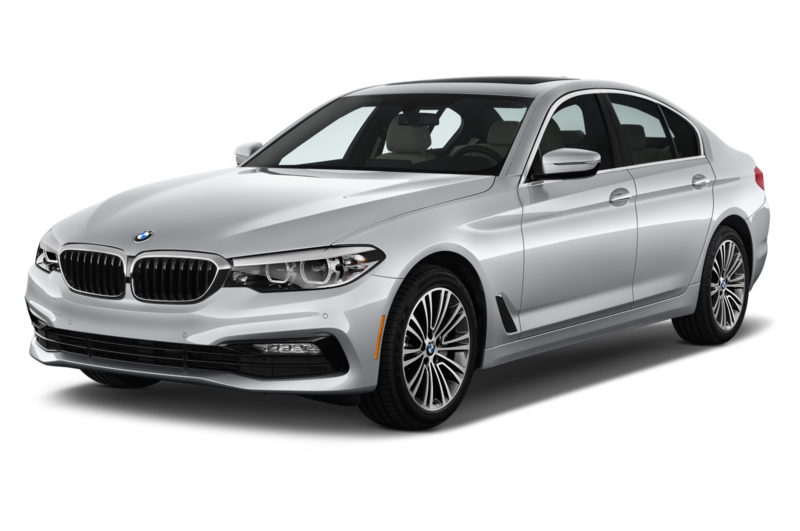 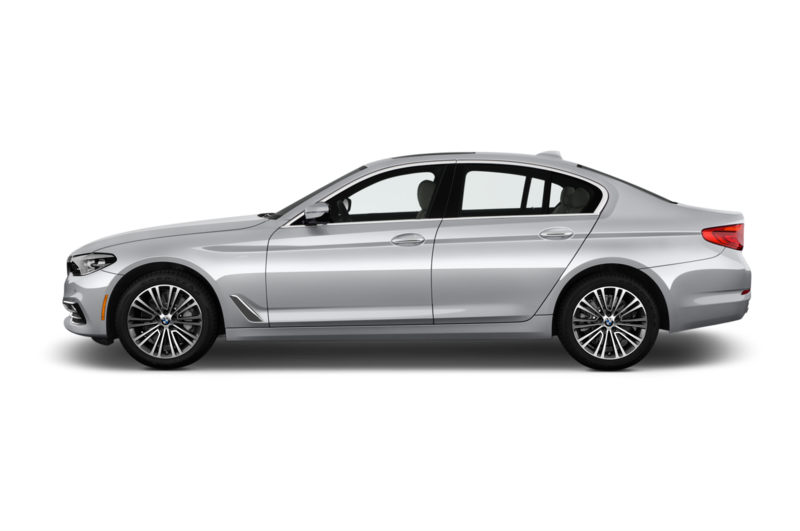 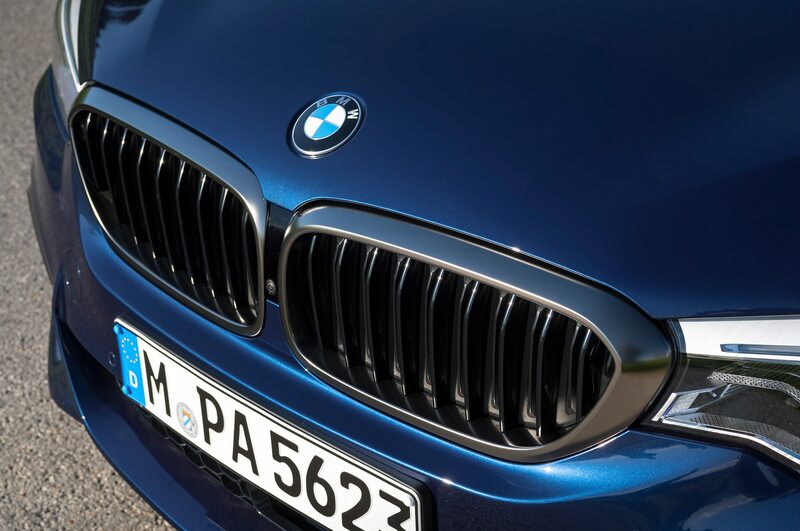 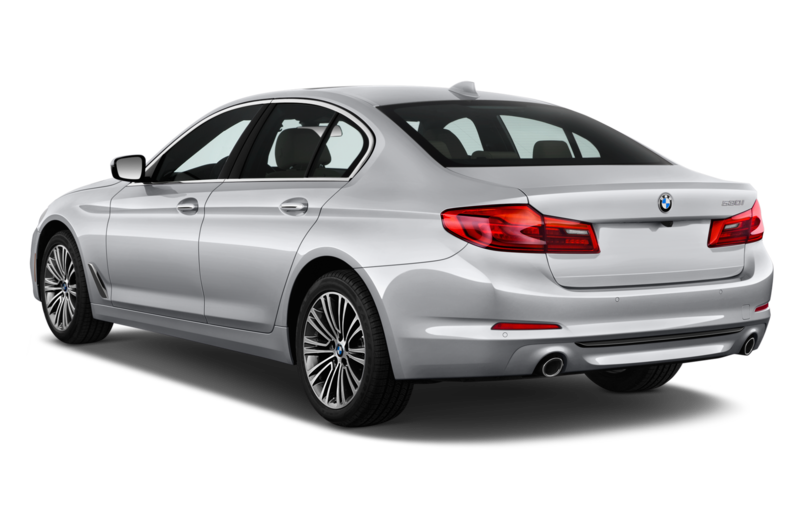 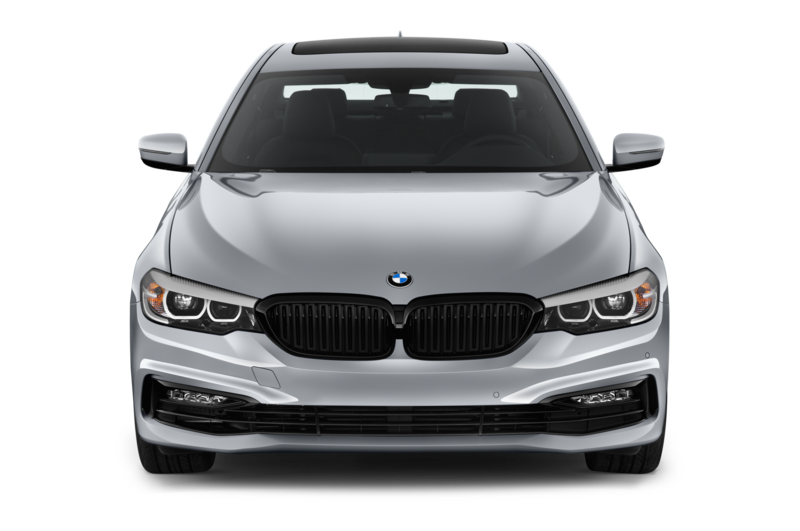 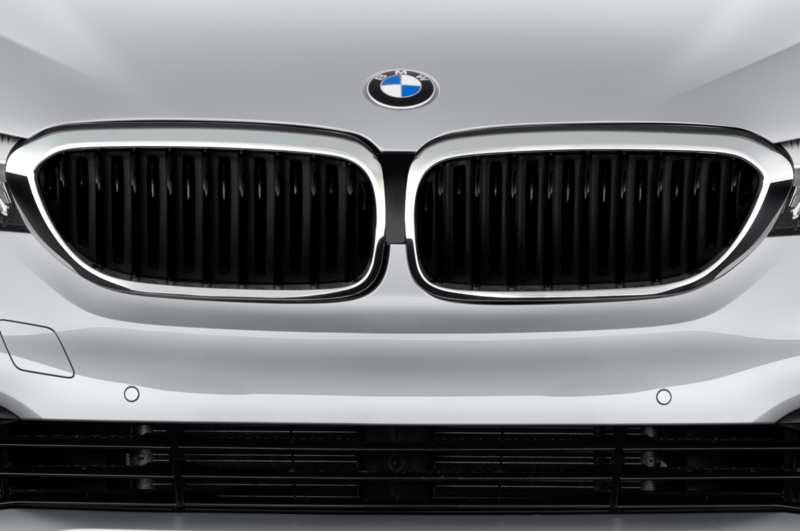 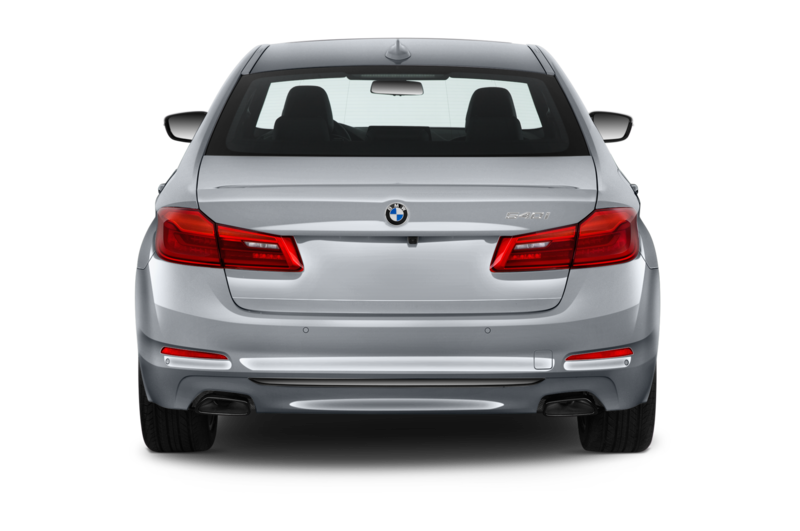 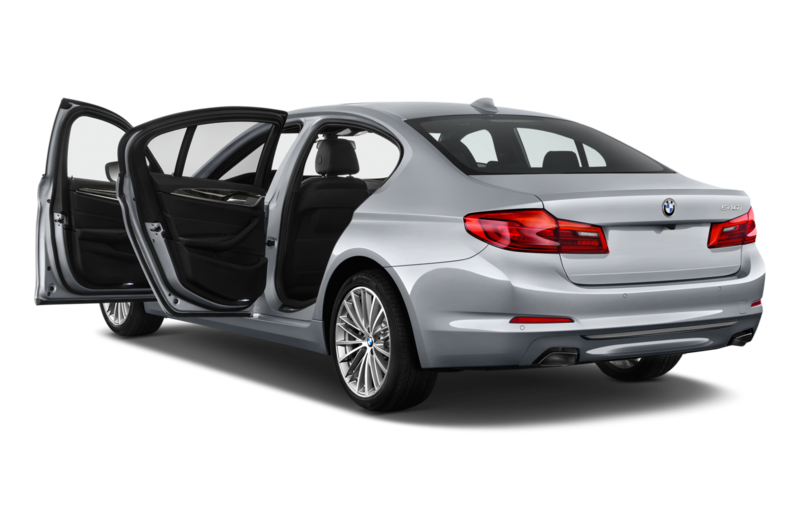 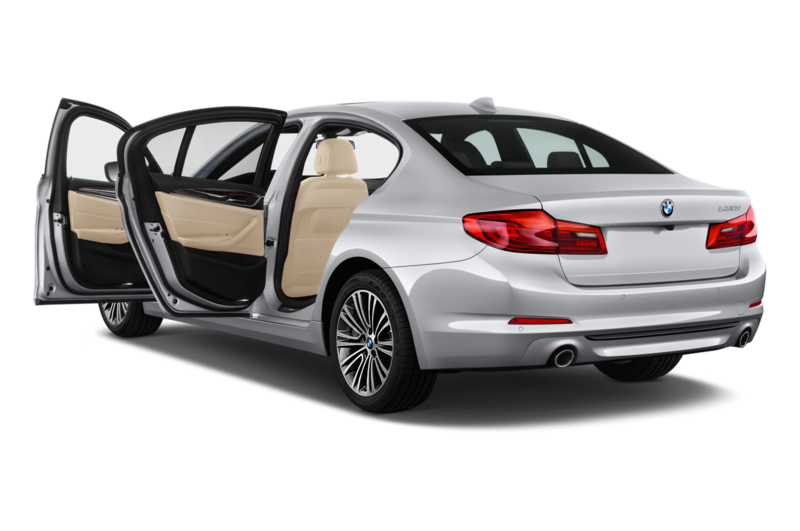 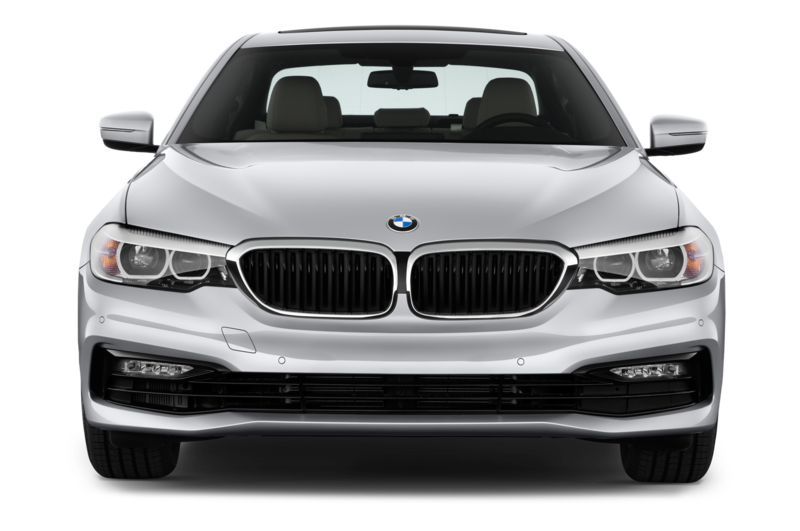 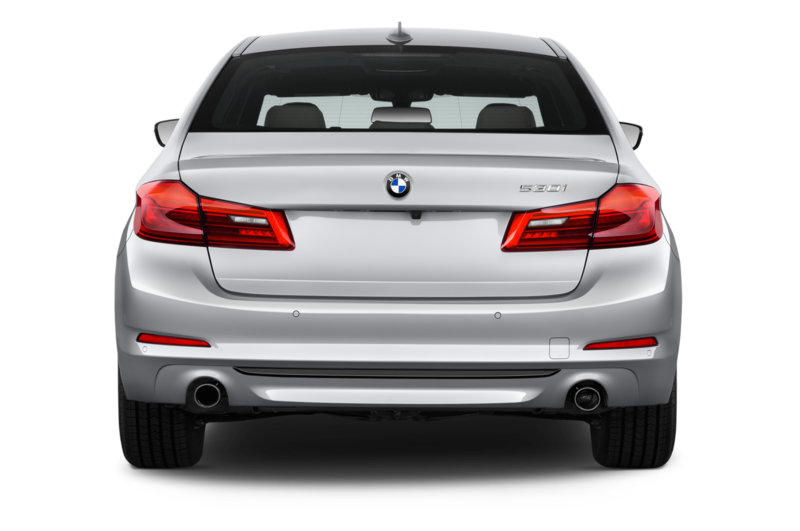 If you’re simply looking for a fast luxury sedan with an M on its rump, the M550i xDrive has you covered. 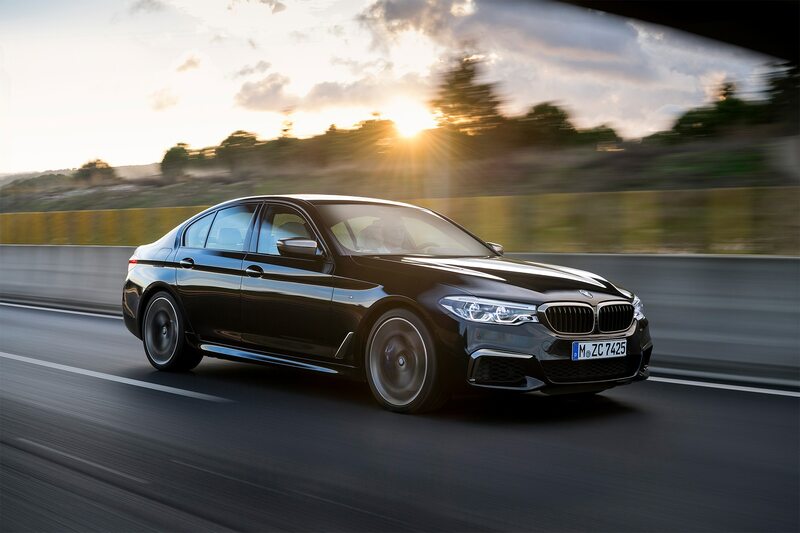 Those willing to sacrifice ride comfort for faster shifts, greater agility, and a more palpable sense of control of something special, however, will do well to wait for the G30 M5.